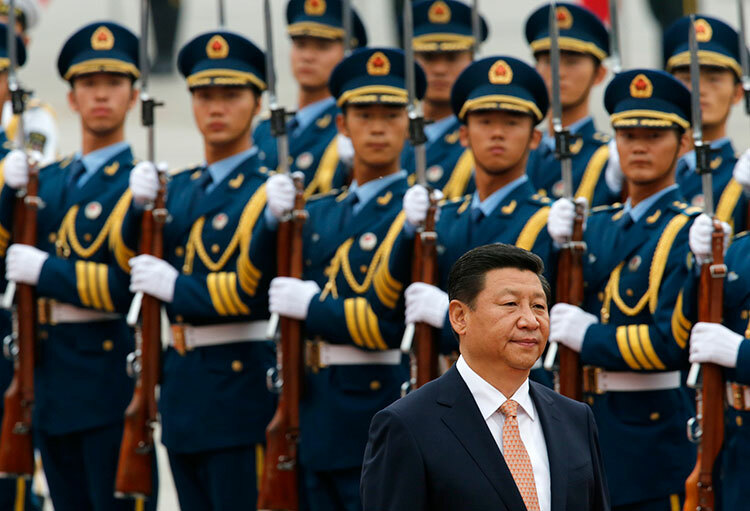 As China’s new Communist Party leaders take power, they face a more outspoken military brass. HONG KONG - It was supposed to be a relaxed evening for a group of senior international military chiefs. Gathered at Melbourne's Crown Casino, they had changed out of uniform for dinner and discussion. China's Lieutenant-General Ren Haiquan took the podium in a room overlooking the Yarra River last October 29 and began diplomatically enough. But as he neared the end of his speech, he went on the offensive. "Some people" had ignored the outcome of World War Two and were challenging the post-war order, he told counterparts from 15 other nations. It was a pointed reference to Japan's claim over islands in the East China Sea that Beijing insists are Chinese. "One should never forget history and (should) learn from history," Ren said, according to a copy of his speech. "Flames of the war ignited by fascist countries engulfed the whole region, and many places, including Darwin in Australia, were bombed." In a jarring coincidence, say officers in the audience, fireballs belched into the sky as he spoke, part of the casino's hourly fireworks display. Visibly displeased at the dig, the senior Japanese officer present, army Lieutenant General Yoshiaki Nakagawa, left with his fellow officers as soon as the speeches concluded, people in the audience said. Neither Ren nor Nakagawa were available for comment. Ren's provocative dinner talk was no isolated outburst. His message was typical of the increasingly hawkish rhetoric coming from senior officers in the People's Liberation Army. At issue these days are the disputed islands known as the Diaoyu (in China) or Senkaku (in Japan) and a string of islets in the South China that China is contesting with various Southeast Asian nations. In a political system where civilian officials hew to tightly scripted public positions, these uniformed pundits, both serving and retired, appear free to go well beyond the official line. Almost all of the most-outspoken generals are military academics or theorists. Foreign military analysts are uncertain if the hawks represent a majority opinion in the 2.3 million-strong military or exercise real influence over foreign policy. It is also unclear if operational commanders share the views of these so-called "activist officers." However, there is one generally agreed explanation for their prominence: The PLA now has something to talk about. The military budget has soared to almost $200 billion, according to some Western estimates - the world's second-highest military budget behind the United States. That money has paid for the warships, strike aircraft and missiles allowing the PLA to plan for distant conflict. For the first time in its modern history, China has the firepower to contest control of disputed territory far from its coastal waters. Over the same period, China has emerged from decades of isolation to become a powerful trading nation with a complex global web of commercial and diplomatic ties. That means military planners are increasingly concerned with security of sea lanes - particularly in the South China Sea - that carry manufactured exports and imports of vital energy and raw materials. "Until quite recently, China didn't have a lot of overseas interests," said Li Nan, an analyst of the Chinese military at the United States Naval War College. "It didn't get involved in foreign-policy crises." For some Chinese foreign policy researchers, the emergence of the hawks is part of Beijing's "good cop-bad cop" strategy to influence diplomatic negotiations over the disputed territory. For anxious neighbors, though, the tough talk backed up with firepower delivered over a three-decade military buildup, is sending an unnerving signal that a rising China may be ready to use force. It also conflicts with repeated assurances of a "peaceful rise" from the civilian leadership in Beijing. "There appears to be a discord between this peaceful rise language and the comments from senior PLA officers," said Li of the U.S. Naval War College. "There is no doubt about that." A Japanese Foreign Ministry official, noting Lt-Gen Ren's remarks in Melbourne and similar comments from China, stressed Japan's own peaceful rise from the ashes of World War Two. "China itself clearly stated in the Japan-China joint statement, issued in May 2008, that it highly regards Japan's history as a peaceful nation for more than 60 years after the war," the official said. Japan's Defense Ministry has flagged the Chinese armed forces' growing role in shaping foreign policy as a security risk. in its annual Defense white paper last July, Tokyo said some believe relations between the PLA and the Communist Party leadership were "getting complex". The degree of military influence on foreign policy decisions could possibly be changing, the paper said, adding: "The situation calls for attention as a risk management issue." The relationship will be closely watched as China's new leader, Xi Jinping, begins to stamp his authority on the Communist Party and the military. Xi, the "princeling" son of late party leader, military commander and economic reformer Xi Zhongxun, has clearly signaled he will be a strong nationalist. His first speeches after taking power in November had a strong patriotic flavor, with appeals for a "renaissance" of the Chinese nation. As chairman of the Central Military Commission and head of the party, Xi takes command of the PLA after years of cementing close ties with influential senior officers. One of his jobs after graduation from university was personal secretary to Geng Biao, a revolutionary military commander who became Defense minister after the Cultural Revolution. Xi can even be said to be married to the military. His wife, celebrity folk singer Peng Liyuan, is a civilian member of the PLA, holding a rank equivalent to major general. Some analysts say Xi's family background and his own experience will enable him to exert more control over the PLA than his predecessors, Hu Jintao and Jiang Zemin. "Xi has nothing to prove to the military," said former Australian Prime Minister Kevin Rudd, a Mandarin speaking ex-diplomat who has held talks with the new Chinese leader on several occasions. "There is no reason for him to overcompensate for them." While it is too early to say if Xi will encourage or tolerate his outspoken generals, political analysts agree the hawks can be silenced when it suits the political leadership. When Chinese President Hu Jintao visited the United States in early 2011, it was important to Beijing that the high profile visit go smoothly and Hu receive state honors in Washington. Hawkish talk among the officer pundits died down in the run-up to that trip. "All of a sudden, bam, these guys got turned off," said Scott Harold, a China analyst for the Santa Monica, California-based Rand Corporation. Ren, the vice president of China's Academy of Military Science, is far from the most hawkish officer in the PLA. Among the most bellicose are in a group of about 20 military officers who have become star media and online performers in recent years, including Air Force Colonel Dai Xu, retired army Major General Luo Yuan and Rear Admiral Zhang Zhaozhong. 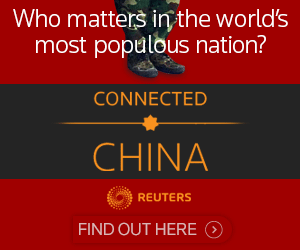 Their commentary and blogs get widespread coverage in state-owned media, military publications and specialist websites that cater to a vast domestic audience eager for news and opinion about China's growing military power. "It also serves to instill a sense of pride and patriotism that China under the present government has become strong and a force to be reckoned with by the big powers," said Sun Yun, an expert on Chinese foreign and security policy at the Washington-based Stimson Centre. Their commentary is in demand as part of the extensive coverage devoted to the new warships, tanks, missiles and strike aircraft now entering service with the PLA. The impact of these new weapons is endlessly analyzed, particularly in scenarios where China is at war with the United States and its regional allies. For retired officers on modest PLA pensions, this market for commentary and analysis provides extra income and the gratification of a high profile in the media, Chinese military experts say. And, serving officers can advance their careers if their views strike a chord with the military hierarchy. The Air Force Colonel, Dai Xu, is renowned for his regular calls to arms. With China in dispute for much of last year with Japan in the East China Sea and Vietnam and the Philippines in the South China Sea, Dai argued a short, decisive war, like China's 1962 border clash with India, would deliver long-term peace. He also said Washington would not risk war with China over these territorial spats. "Since we have decided that the U.S. is bluffing in the East China Sea, we should take this opportunity to respond to these empty provocations with something real," he wrote in an August 28 commentary published in the Chinese-language edition of the Global Times, a nationalistic tabloid published by the Communist Party organ, the People's Daily. "This includes Vietnam, the Philippines and Japan, who are the three running dogs of the United States in Asia," added Dai, a researcher at Beijing University's China Centre for Strategic Studies. "We only need to kill one, and it will immediately bring the others to heel." An animated speaker with a shock of thick black hair that's slightly long for a military man, Dai sometimes appears for television interviews in fashionable civilian clothes. On other occasions he appears on the state-controlled military channel, CCTV 7, in his neat, sky-blue air force uniform giving lectures to junior officers on air power or conflicts in the Middle East. He is also the author of popular books on China's strategic outlook. His 2009 best seller, "Sea Totem, China's Carrier," argues that China's new aircraft carrier, commissioned in September, is a symbol of the nation's maritime rejuvenation. In "C-Shaped Encirclement," published in 2010, Dai describes how an entrapped China must break out from the curving perimeter around China the United States and its allies have established from northern Japan, through South Korea, Taiwan, South East Asia, India and up to Afghanistan. Dai did not respond to a request for comment on this article. Retired army Major General Luo Yuan is a gruff, plain-speaking member of China's top government advisory body, the Chinese People's Political Consultative Conference. Luo, who often appears in uniform for his television appearances or panel discussions, has built up a strong online and media following with frequent hard-line advice for dealing with maritime disputes. 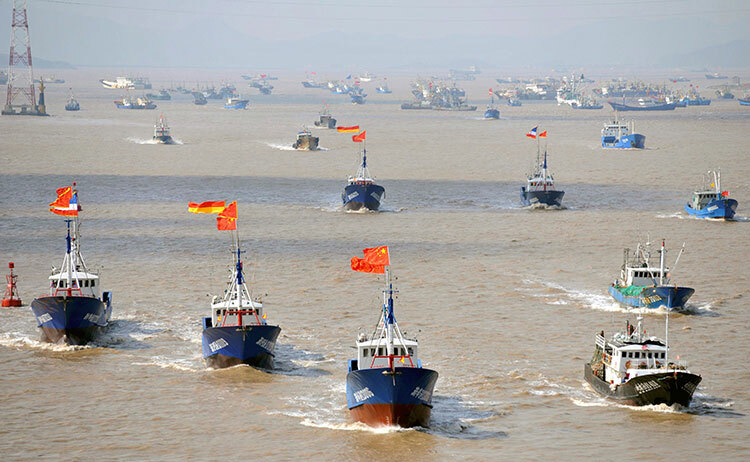 His suggestions, however, that Taiwan and mainland China should send hundreds of fishing boats to the Diaoyu islands to fight a "people's war at sea" and to turn the tiny, uninhabited islands into a firing range appear to have been tongue in cheek. "Chinese aircraft can bomb the islands on Monday, Wednesday and Friday," Luo said at a seminar in Hangzhou on September 29, "while the Taiwanese can launch attacks on Tuesday, Thursday and Saturday." 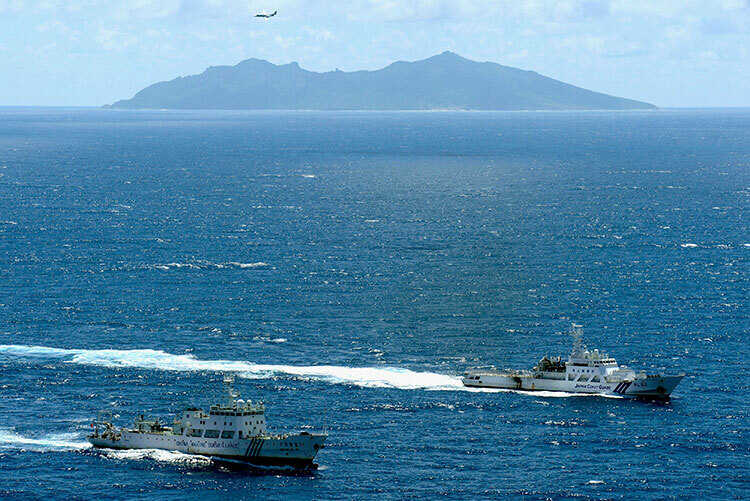 Mixed in with his sometimes combustible rhetoric are practical suggestions, including his recent recommendation that China form a coastguard on the U.S. model to unify the nine government agencies that have overlapping jurisdiction over maritime policing. In a telephone interview, Luo told Reuters from Beijing all soldiers had a duty to be "hawks". 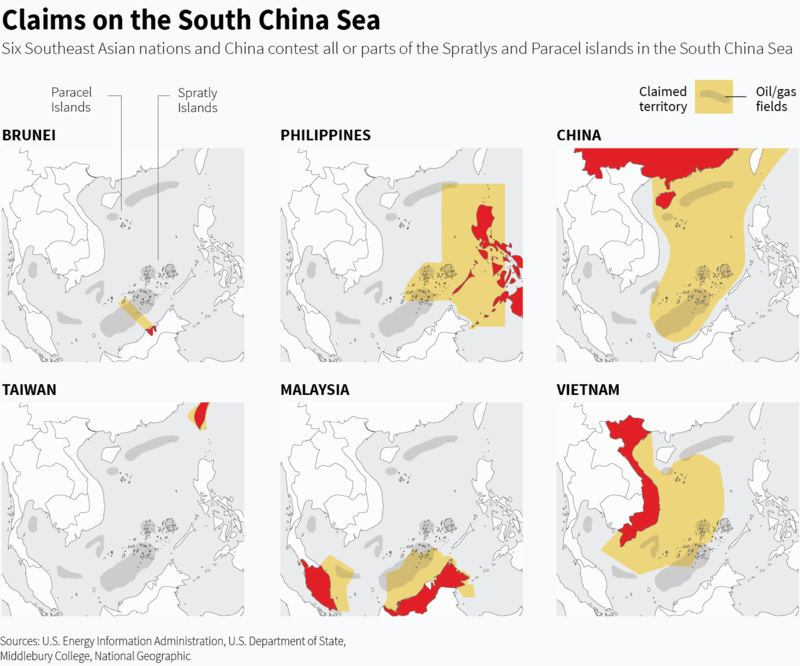 The chance of conflict in the South China Sea and East China sea this year is arguably high because rival claimants had enacted domestic laws to legitimize overlapping sovereignty claims and had deployed forces to prevent encroachments, he said. This meant China must take precautions to prevent clashes. "It's crucial to express your standpoint and bottom line so others will know that China is committed to the use of diplomatic measures to resolve the dispute but China is also not afraid of conflict," he said. That was basically the line from the Chinese Defense Ministry in a written reply to questions about the hawkish officers. The government would never waver in its determination to maintain China's sovereignty and territorial integrity, the ministry said. "At the same time, we have always upheld the peaceful resolution of international disputes and resolving problems with relevant countries through dialogue, negotiation and equal consultations." For some PLA watchers, the scope for these officers to voice controversial opinions is further evidence of expanding freedom of speech in China. "It is a genuine debate," said Patrick Ho, chief executive of the Hong Kong-based China Energy Fund Committee, a mainland-funded think tank that lists some outspoken military officers as consultants. "Even within the higher echelons of the military, there are conservatives and liberals, just like America and Europe. There are extreme views from each end," added Ho, a former senior Hong Kong government official and now an advisor to Beijing. A robust debate over national security is "normal" for a major power, Australia's Rudd says. "In the U.S., the national security debate rages all the time. But we find it strange when it happens in another country." Rear Admiral Zhang Zhaozhong is the best-known of the hawk commentators, appearing frequently as a program host on CCTV 7 and other state-run television outlets. Virulently anti-American, he has a low opinion of U.S. military capabilities and willingness to suffer casualties. The United States would "run like a rabbit" if China went to war with Japan over the Diaoyu Islands, he told state television on August 12. Zhang, a professor at Beijing's National Defense University who has studied at Britain's Royal Military College of Science, is also disparaging about neighboring countries' fighting capabilities. Last year, during the Scarborough Shoal standoff, he told participants of a People's Daily Internet forum it would be a one-sided fight if China clashed with the Philippines. Manila's most potent warship was a 3,000-tonne, 1960s vintage former U.S. coast guard cutter, while China could deploy the 18,000-tonne amphibious landing ship, Kunlun Shan, he said. "If there is a clash in the South China Sea, the possibility that foreign countries would intervene is low, and any conflict would not last long," he confidently predicted. Zhang's reputation as a prognosticator, however, has taken a few lumps. He warned of a series of calamities for the 2003 U.S.-led invasion of Iraq, predicting the attackers would be "engulfed in the vast ocean of a people's war." Later, in the face of online ridicule, Zhang was forced to concede on television he had insufficient "intelligence" about the disposition and strength of Iraq's forces other than what he learned on the Internet. More recently, Zhang also wrongly predicted Libyan dictator Muammur Gaddafi would prevail over the rebels seeking his overthrow. Zhang was not available for comment. On occasion, a battery of belligerent top brass will concentrate their firepower on a perceived challenge to China's territory or dignity. In September, three days after Tokyo outraged Beijing with its decision to buy the Diaoyu/Senkaku islands from a Japanese citizen who owned them, China's state media unleashed a propaganda broadside in a joint commentary from 10 generals including Dai Xu, Luo Yuan and Zhang Zhaozhong. Calling for a tough stand against Tokyo, they accused rightists in Japan of moving the country dangerously toward a revival of its World War Two militarism. The drumbeat of threats and warnings from uniformed officers is contributing to regional apprehension about China's territorial intentions. Southeast Asian nations have welcomed the U.S. "pivot", Washington's stated intention of shifting more attention and military assets back to the region. They are strengthening ties with Washington and boosting military spending. Right-wing voices in Japan calling for re-armament are gaining ground - a trend that solidified with December's landslide election of the hawkish Shinzo Abe as prime minister. Abe has proposed the first increase in Japan's Defense budget in 11 years, citing repeated Chinese incursions into disputed waters. In Melbourne, Ren explained that Beijing's military buildup was purely aimed at preventing a repetition of earlier foreign aggression that China had been too weak to resist. "To prevent a repetition of this historical tragedy, China has no other choice but to develop proper military strength," he said. As PLA firepower mounts, China's political leaders will need to be careful the uniformed hawks don't go too far and increase the risk of conflict, security experts said. It might be difficult to make concessions or compromise in negotiations over disputed territory once public opinion gets whipped up. "As nationalism is a double-edged sword," says Shen Dingli, a security expert at Shanghai's Fudan University, "the government could get hurt." War exercises around East Asia are aimed at breaking what China views as a U.S. straitjacket - and projecting power deep into the Pacific. HONG KONG - In late October, flotillas of Chinese warships and submarines sliced through passages in the Japanese archipelago and out into the western Pacific for 15 days of war games. The drills, pitting a "red force" against a "blue force," were the first in this area, combining ships from China's main south, east and north fleets, according to the Chinese military. Land-based bombers and surveillance aircraft also flew missions past Japan to support the navy units. Beijing's military strategists argue this naval punch is vital if China is to avoid being bottled up behind a barrier of U.S. allies, vulnerable to a repeat of the humiliation suffered at the hands of seafaring Europeans and Japanese through the colonial period. "It tells Japan and the United States that they are not able to contain China within the first island chain," says Shen Dingli, a security expert and professor at Shanghai's Fudan University. "So don't bet on their chances to do so at a time of crisis." 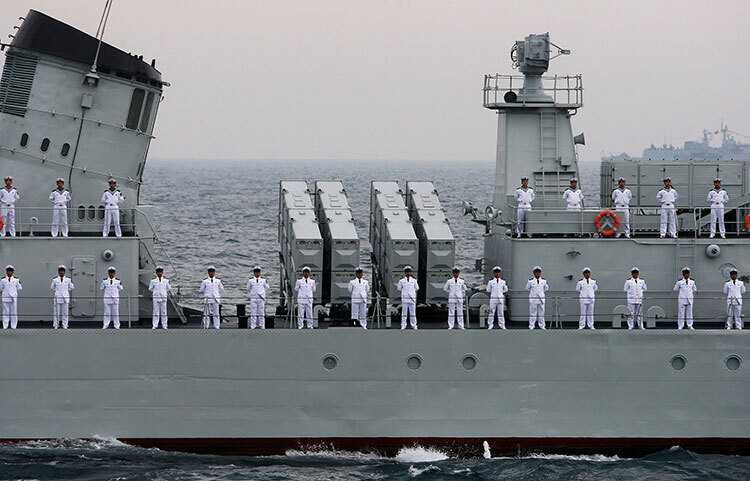 In the process, the rapidly expanding PLA navy (PLAN) is driving a seismic shift in Asia's military balance. China, traditionally an inwardly focused continental power, is becoming a seagoing giant with a powerful navy to complement its huge ship-borne trade. "As China grows, China's maritime power also grows," says Ren Xiao, director of the Centre for the Study of Chinese Foreign Policy at Fudan University and a former Chinese diplomat posted to Japan. "China's neighboring countries should be prepared and become accustomed to this." China's strongly nationalistic Communist Party leader, Xi Jinping, has thrown his personal weight behind the maritime strategy. In a speech to the Politburo in the summer, Xi said the oceans would play an increasingly important role this century in China's economic development, according to accounts of his remarks published in the state-controlled media. China is also making waves in the South China Sea, where it has territorial disputes with a number of littoral states. But it is the pace and tempo of its deployments and exercises around Japan that provide the clearest evidence of Beijing's "blue water" ambitions. Fleets of pale grey, PLA warships are a now a permanent presence near or passing through the Japanese islands. Tension flared dangerously last week when China imposed a new air defense zone over the islands, demanding that foreign aircraft lodge flight plans with Beijing before entering this area. In defiance of the zone on Tuesday, two unarmed U.S. B-52 bombers on a training mission flew over the islands without informing Beijing. The flight did not prompt a response from China. This puts East Asia's two economic giants, both with potent navies, in direct military competition for the first time since the 1945 surrender of Japan's two million-strong invasion force in China. Drawing on a reservoir of bitterness over that earlier conflict, the demeanor of both sides signals this is a dangerous moment as U.S. naval dominance in Asia wanes. Even if both sides exercise restraint, the risk of an accidental clash or conflict is ever present. "China and Japan have to come to terms with the fact that their militaries will operate in close proximity to each other," says James Holmes, a maritime strategist at the U.S. Naval War College in Newport, Rhode Island, and a former U.S. Navy surface warfare officer. "Geography compels them to do so." As the Manoeuvre 5 drills got under way, PLA Senior Colonel Du Wenlong said he was looking forward to units from the three regional Chinese fleets simultaneously crossing three key chokepoints - two through the Japanese islands, and one between Taiwan and the Philippines, according to reports in the official Chinese military media. It is unclear if the warships performed a coordinated transit. But the exercises and the response of the Japanese military contributed to a spike in tension. Tokyo dispatched warships and aircraft to track and monitor the Chinese fleet in response to the latest drills. Japanese fighters also scrambled to meet Chinese bombers and patrol aircraft as they flew out to the exercises and back. Japan's defense ministry later released surveillance photographs of a Chinese H6 bomber flying between Okinawa and Miyako Island on October 26. All this attention clearly irritated the PLA leadership. Beijing accused Japan of a "dangerous provocation" and lodged a formal diplomatic protest, complaining that a Japanese warship and aircraft disrupted a live fire exercise. While the drills were under way, Japanese Prime Minister Shinzo Abe warned that his country would not be bullied. "We will express our intention as a state not to tolerate a change in the status quo by force," he told a military audience on October 27. "We must conduct all sorts of activities such as surveillance and intelligence for that purpose." Naval commentators suggest the bellicose rhetoric shows that both sides are struggling to adjust to their new rivalry. "Chinese hardliners do regional tranquility no service by talking about splitting Japan and so forth," says American naval strategist Holmes, co-author of an influential book on China's maritime rise, "Red Star Over the Pacific," with colleague Toshi Yoshihara. "And, the Japanese do regional tranquility no service by being alarmed when China's navy transits international straits in a perfectly lawful manner." Part of the problem for Japan is that it has been slow to adjust to China's rise, according to some Chinese foreign policy analysts, and is now excessively anxious. "For so many years they looked down upon China which was big but weak," says Ren, the former Chinese diplomat. "Now the situation is different and they have to face up to the new reality." "The Japanese Self Defense Force's reaction is also in full compliance with international laws, regulations and customs," says retired Vice Admiral Yoji Koda, a former top Japanese naval commander. Koda adds that the Japanese military routinely monitors Russian naval operations around Japan without friction or protest. The ideological keel of Beijing's modern bid to become a maritime power was laid down as China's economic revival in the early 1980s flowed through into sharply increased military budgets. The starting point for China's leading maritime thinkers is the trauma of European and Japanese colonization. Another premier Chinese maritime strategist is Ni Lexiong, a professor at Shanghai's University of Political Science and Law. He has documented how China's failure to properly fund its navy was a factor in its 1895 defeat in the first Sino-Japanese war and the subsequent loss of Taiwan. Zhang and Ni are regarded as China's leading advocates of the theories of the American naval officer, strategist and historian Alfred Thayer Mahan. Both subscribe to one of Mahan's principal ideas: A truly powerful nation must have thriving international trade, a merchant fleet to carry these goods and a strong navy to protect its sea lanes. Mahan's works, considered visionary in the late 19th and early 20th centuries, are still avidly read and absorbed in Chinese naval schools, Chinese military analysts say. The rise of earlier seafaring and trading powers - Portugal, Spain, Holland, Great Britain, the United States and Japan - have also provided important lessons for strategic thinkers. The vision and influence of the late Admiral Liu Huaqing, known as the father of the modern Chinese navy, also remains strong. Liu, who died in 2011, rose to become overall commander of the PLA and a member of the Communist Party's Politburo standing committee, the country's supreme ruling body. While Liu was head of the navy in the 1980s, it was an obsolete, coastal fleet. But Liu was determined that China needed a blue-water fleet and aircraft carriers if it was to match the power of the United States and its allies. Fundamental to the thinking of many Chinese strategists and military and political leaders is the conviction that China would be foolish to rely on the United States to protect its shipping. They acknowledge that the U.S. Navy has guaranteed freedom of navigation since the end of World War Two, underwriting an explosion in global trade to the benefit of most other countries, including China. The figures bear this out. China last year overtook the United States as the world's biggest trader, according to official data from both countries. Up to 90 percent of Chinese trade is carried by sea, including most of its vital imports of energy and raw materials, shipping experts estimate. But Beijing's strategists fear the U.S. could interrupt this trade at a time of crisis or conflict. Almost all of China's naval thinkers also agree that recovering Taiwan is crucial to realizing the dream of maritime power. Restoring "national unity" is a longstanding goal of the ruling Communist Party. But the self-governing island itself has immense strategic value, sitting astride sea lanes that are also vital for Japan and South Korea. Control of Taiwan would open a huge breach in the first island chain around China. PLA warships and aircraft based on the island could extend China's military reach far into the Pacific and much closer to Japan, without the need to first pass through potential choke points or channels in the chain. "Taiwan is a part of the first island chain," says Fudan University's Shen. 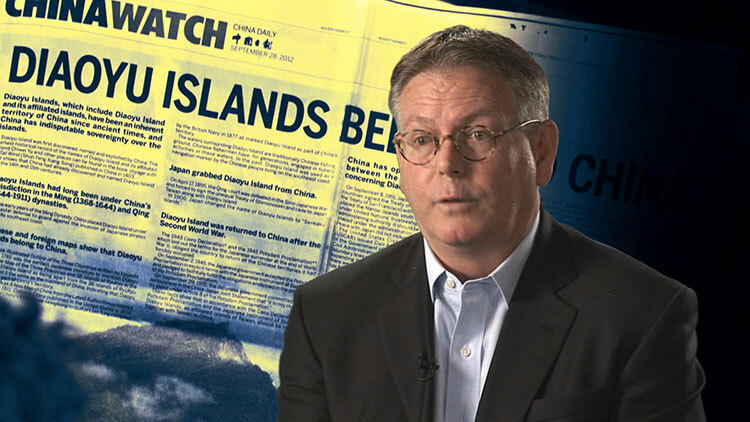 "Instead of being integrated into mainland China, it has been used as a part of the U.S. first island chain strategy." China's turn to the sea has boosted the status of the navy, long the poor relation of the armed forces. The PLA, traditionally a massive ground force, was built around the Maoist strategy of drawing an invading enemy deep into the hinterland, where it could be destroyed through attrition. Military strategists say this was thinkable before the country industrialized. Now that the eastern seaboard is the throbbing engine of the world's second-ranked economy, fighting a war here would be catastrophic for China, win or lose, they say. Far better to meet challenges at sea or on the territory of a hostile nation. The late Admiral Liu is credited with sharply increasing the navy's share of the defense budget, outlays that have paid for a rapidly expanding fleet. In its annual assessment of the Chinese military published earlier this year, the Pentagon said the Chinese navy, now the biggest in Asia, deployed 79 major surface warships and more than 55 submarines, among other vessels. And the PLAN last year commissioned its first aircraft carrier. Wu Shengli, the powerful admiral who now leads this force, is widely regarded as the most influential naval officer since Admiral Liu. Wu is also a member of the Central Military Commission, China's top military council. PLAN warships are now highly visible in all major oceans, with an active schedule of ship visits to foreign ports. The Chinese navy is part of the international anti-piracy force in the Gulf of Aden. These deployments are heavily publicized in the state-controlled media as the navy becomes a symbol of China's growing international prestige. This openness also applies to combat exercises. The U.S. and other major powers routinely chastise China for a lack of transparency surrounding its three-decade military build-up. But it is difficult to accuse Beijing of secrecy when it comes to recent naval operations near Japan. The state-run media and a stable of specialist military newspapers, journals, web-sites and television channels devote blanket coverage to the deployment of warships, submarines, aircraft and patrol vessels on missions near China's neighbor. "The PLAN is a relatively young organization building up their capabilities and certainly not the 'senior service' in China," says Alessio Patalano, a specialist on the Japanese military at King's College in London. "It's important for its leadership and its members to establish their credentials and increase their profile." For exercise Manoeuvre 5, the Chinese navy followed the U.S. practice of embedding journalists. Regular television reports from the Type-052 guided missile destroyer Guangzhou showed the 6,500 ton warship ploughing through heavy seas on route to the exercises. Officers and sailors were interviewed at battle stations while they tracked targets and prepared missile launches. After decades confined to its coastal seas, the PLAN began regular voyages from the East China Sea into the Pacific early last decade. At first, Chinese warships mostly used the wide Miyako Strait between Okinawa and Miyako Island, according to statements from the Chinese and Japanese militaries. Since then, in a series of firsts, they have transited all the other important channels between the Japanese islands, according to Japan's White Paper. Some Chinese strategists reject fears that deploying a powerful navy increases the odds of conflict. "I am more confident than many outside observers that China will behave out of the nation's fundamental interests, namely, to take a path of peaceful development," says Ren. "There is no reason to change this option." "The more exercises the PLAN conducts on the high seas around Japan, the better for the JMSDF to judge and collect the PLAN's warfare capabilities and intents," says Koda, the retired Japanese admiral. "The PLAN cannot intimidate Japan by these types of exercises." China's growing maritime power has emerged as the biggest challenge to the Japanese military since the collapse of the Soviet Union. Tokyo this year halted a decade of declining military outlays with an 0.8 per cent increase to 4.9 trillion yen ($48 billion). Defense outlays next year are expected to increase more sharply by about 3 per cent according to senior Japanese military officials. Japanese military analysts believe their navy still holds a clear advantage in technology and firepower over its Chinese rival but the gap is closing. "The Japanese Maritime Self Defense Force is the second-largest and second-most capable navy next to the U.S. navy," says retired Admiral Yoji Koda. "The Chinese navy is very much afraid of the Japanese navy's real capability." Koda and other security experts estimate that it will take China about 15 years to match the Japanese and U.S. naval power in East Asia if Beijing can maintain its double digit annual increases in military spending. China this year increased its Defense budget by 10.7 per cent to $119 billion but some foreign experts estimate Beijing's real spending could be as high as $200 billion. As Tokyo increases military outlays, it is also repositioning and re-equipping its military. Throughout the Cold War, the Japanese Self Defense Force concentrated the bulk of its firepower in its northern islands, ready to confront the Soviet Union and assist the U.S. navy in monitoring the powerful Russian submarine fleet. Now Tokyo is in the early stages of redeploying its forces to the west to counter the sharply increased tempo of Chinese naval operations. And, in a sign that it is determined to counter any threat to far flung islands, including the Senkaku/Diaoyu group. The Japanese military is planning to introduce an amphibious landing force, akin to the U.S. marines, that could be deployed to defend outlying islands or landed to recover territory captured by a foreign invader. The first 700 members of the 3,000-strong force will be drawn from the army, according to the Japanese Defense Ministry. Japan already has a powerful fleet of helicopter carriers and amphibious landing ships that could support this type of operation. And, it is testing some new amphibious assault vehicles needed to land troops. 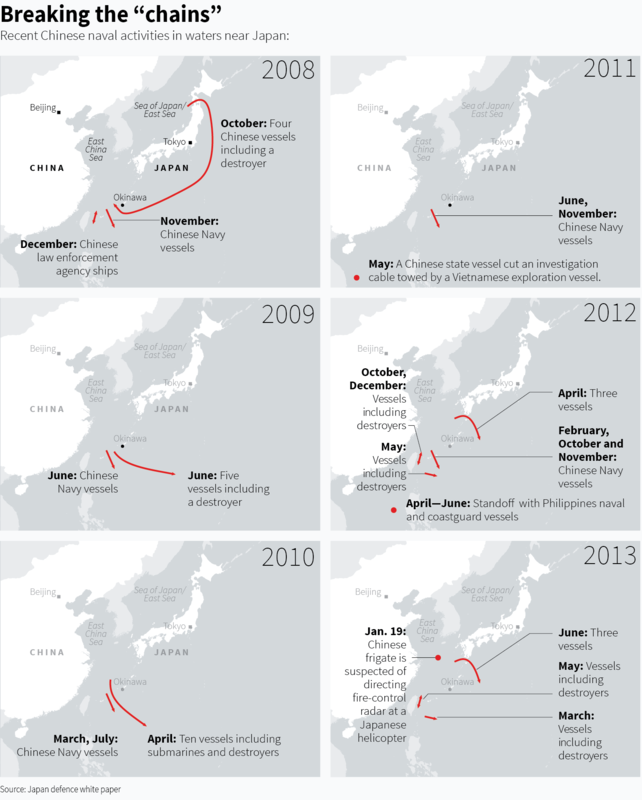 Recent exercises also suggest Tokyo's Defense planners are pre-occupied with threats to outlying islands. Just as China's latest major exercise around the Japanese archipelago drew to a close, Japan launched an 18-day exercise involving 34,000 troops that included an amphibious landing on an uninhabited atoll south of Okinawa. Earlier this year, 1,000 Japanese troops took part in a joint amphibious landing exercise in California with U.S. Marines. As Beijing seeks to close the military gap, Washington faces a wave of attempts to smuggle out sensitive U.S. defense components and systems. OAKLAND, California - Agents from Homeland Security sneaked into a tiny office in Oakland’s Chinatown before sunrise on Dec. 4, 2011. They tread carefully, quickly snapping digital pictures so they could put everything back in place. They didn’t want Philip Chaohui He, the businessman who rented the space, to learn they had been there. Seven months had passed since they’d launched an undercover operation against a suspected Chinese arms-trafficking network - one of scores operating in support of Beijing’s ambitious military expansion into outer space. It was a gamble. This was a chance to take down an entire Chinese smuggling ring. But if He succeeded in trafficking the rad-chips to China, the devices might someday be turned against U.S. sailors, soldiers or pilots, deployed on satellites providing the battlefield eyes and ears for the People’s Liberation Army. Entering He’s office at 2:30 that December morning, the agents looked inside the FedEx boxes. The microchips were gone. The supervisor on the case, Greg Slavens, recoiled. In the past 20 years, the United States has spent trillions of dollars to create and deploy the world’s best military technology. It also has enacted laws and regulations aimed at keeping that technology away from potential adversaries such as Iran, North Korea and the nation that poses perhaps the most significant long-term threat to U.S. military supremacy, China. China’s efforts to obtain U.S. technology have tracked its accelerated defense buildup. The Chinese military budget - second only to America’s - has soared to close to $200 billion. President Xi Jinping is championing a renaissance aimed at China asserting its dominance in the region and beyond. In recent weeks, Beijing has declared control over air space in the contested East China Sea and launched China’s first rover mission to the moon. How often the Chinese succeed at acquiring U.S.-made weaponry or components is unclear. U.S. government officials say they don’t know, in part because the problem is too widespread and difficult to track. By its very definition, black market smuggling is hard to monitor and quantify. Quite often, sensitive U.S. technology is legally shipped to friendly nations and then immediately and illegally reshipped to China. China also presents a special challenge: It is both the largest destination for legally exported American-made goods outside North America and the most or second-most frequent destination for smuggled U.S. technology. A 2010 classified Pentagon assessment showed a spike in legal shipments to China of “dual-use” technology - products that have civilian and military purposes, a person involved in the study said. The technology products the Chinese military seeks tend to be miniaturized, and thus aren’t easily identifiable to U.S. border agents - unlike drugs, for example. And trafficking in these goods isn’t technically illegal until someone tries to export them. “When you think about how many legitimate transactions go to a place like China, it makes it very difficult to track,” said Craig Healy, a senior Homeland Security official who directs the U.S. export enforcement center. Officially published U.S. estimates of how frequently American arms technology gets smuggled are incomplete. By one Pentagon calculation, suspicious queries to U.S. defense manufacturers by entities linked to China increased 88 percent from 2011 to 2012. The government won’t disclose the number of cases that underlie that percentage. U.S. defense and intelligence officials said that although they closely monitor the Chinese buildup, they believe China remains at least a decade behind America. “They still have a long way to go,” said one senior U.S. defense official. Reuters analyzed court records from 280 arms-smuggling cases brought by the U.S. government from Oct. 1, 2005 to Oct. 1, 2013. Reporters also interviewed two dozen counter-proliferation agents and reviewed hundreds of internal Federal Bureau of Investigation, Homeland Security and Commerce Department documents. U.S. counter-proliferation agents say the 2011 Oakland sting is typical of dozens launched recently against people trying to acquire space and missile technology for China. It also demonstrates the difficulty in dismantling smuggling networks, even when a target appears patently suspicious from the get-go. The Oakland investigation began in spring 2011. The manufacturer, Aeroflex of Colorado Springs, Colorado, received an email from a man who called himself Philip Hope of Oakland. The man wanted to buy two kinds of rad-chips - 112 of one type and 200 of the other. The total cost: $549,654. Based on quick record checks, the HSI agents drew a portrait of “Philip Hope.” The man was a Chinese immigrant and legal permanent resident, Philip Chaohui He, an engineer for the state of California assigned to a Bay Bridge renovation project. Sierra Electronic Instruments was a start-up run from the one-room office in Chinatown. The HSI agents concluded that He was buying the rad-chips on behalf of someone else. Someone rich. Someone who couldn’t legally acquire them. Probably someone in China - likely the China Aerospace Science and Technology Corp, a state-run entity that operates nearly all of China’s military and civilian space projects. Despite the concerns about where and how the components might be used, He’s order of 312 rad-chips violated no law. These chips may be legally sold domestically, and to foreign buyers who obtain a State Department license. They may not be exported outside the United States to certain nations, including China. He had the chips sent to his office address in Oakland, making the deal legal. If He tried to take them abroad, he’d be breaking the law. Although that investigation was still ongoing, Aeroflex had already admitted that it sent more than 14,500 rad-chips to China between 2003 and 2008. Aeroflex exported more than half of those chips even after U.S. officials had directed it to stop doing so. The company declined to comment, but documents show two mitigating factors - Aeroflex voluntarily disclosed the transgressions and blamed them in part on misreading complex and sometimes competing Commerce Department and State Department regulations. On July 28, 2011, a federal agent posing as a Federal Express driver arrived at He’s office building in Oakland. The agent handed He’s wife a package containing the first order, 112 rad-chips. She leaned it against a wall. The undercover agent wore a hidden camera that recorded the office’s 10-by-12-foot interior. The place had sleeping bags and mattresses on the floor. There was no satellite research equipment. The agent departed, but not before leaving a tiny surveillance device. For the next five weeks, the device indicated that the box didn’t move. Agents also put a camera outside the office door, placed a keystroke-logger on He’s computer and monitored his movements based on his cell phone location. They placed his name on an automated watch list at airports and border crossings. But they didn’t have the manpower to tail him. He slipped out of the country on Sept. 6, taking a flight to San Diego and driving across the border at Tijuana. The agents received an automated security alert only the following day, Sept. 7. They also learned that He was booked on a flight from Tijuana to Shanghai that evening. It was too late. They’d missed him. If the agents wanted to attempt a sting against the man, they would have to trust a company that had admitted aiding China on a much larger scale. On Oct. 6, an undercover agent helped FedEx deliver the second shipment, 200 radiation-hardened chips. Once again, the agents waited and watched. When two months passed with no indication that He had moved the microchips, Slavens sought the sneak-and-peak warrant. The late night search, on Dec. 4, turned up empty boxes. Slavens then sought a warrant for He’s home and renewed the airport and border look-outs. On the morning of Dec. 10 - before the agents could complete the search warrants - the smuggler surprised them again. An agent noticed He’s cell phone on the move, far south of Oakland, heading toward Los Angeles - presumably to Tijuana again, and then on to China. Slavens scrambled Homeland Security Investigations agents near Los Angeles. The L.A. agents followed the cell-tracker to a Best Western hotel south of the city. In the early evening, they located He’s Honda sedan in the hotel parking lot. They confirmed that He had checked in, and they settled in for surveillance. At about 8:45 a.m. on Dec. 11, 2011, He left his hotel room with an unidentified traveling companion and pulled the Honda onto Interstate 110, driving south. Tijuana was two hours away. The HSI agents planned to stop him at the Mexico border. The agents say the captain told them that he expected to receive “household goods” and other consumer purchases from He for delivery to friends in China. The captain and He’s driving companion were permitted to leave. He was handcuffed. Under questioning, He told the agents that he’d started his Oakland business at the behest of a Shanghai electronics broker who promised to reward him with a condominium in China for his assistance. In August, more than five years after Aeroflex admitted wrongdoing, the State Department announced an $8 million fine for the company’s 2003 to 2008 satellite microchip shipments to China. If Aeroflex completes remedial measures, such as training employees to follow rules the company already should have been following, half of the fine will be suspended. An agent opened the trunk. Stuffed inside a tub of Similac infant formula, they found 200 radiation-hardened microchips. In a court filing, his lawyer disputed the government’s assertion that He knew the rad-chips were destined for use by the Chinese government. Assistant federal defender Robert Pepin said He believed they would be used for commercial mining satellites. Pepin said He deserves a sentence of no more than 24 months, noting that He faces certain deportation when his sentence concludes, and potential separation from his children, who are U.S.-born citizens. “The life he knew and enjoyed is destroyed,” Pepin said. 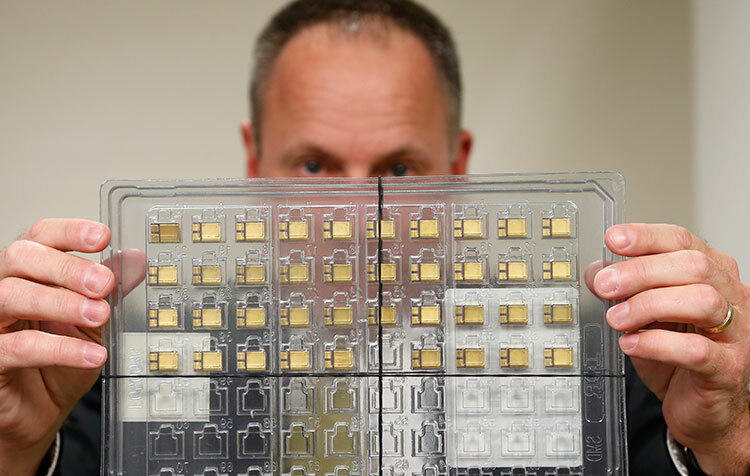 The fate of the first shipment of 112 radiation-hardened chips - the ones that got away - is unknown. U.S. officials strongly suspect they are either in China or orbiting the Earth aboard one of Beijing’s satellites. 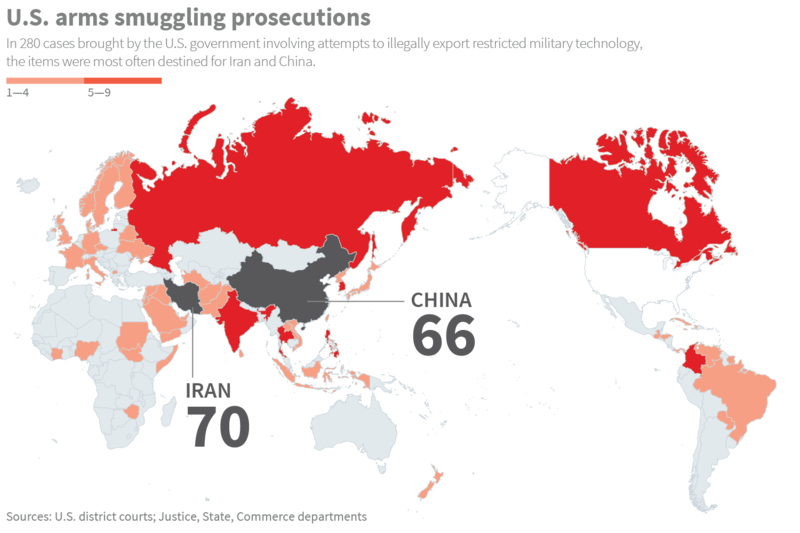 WASHINGTON - The U.S. government’s efforts to police the smuggling of arms and technology have been fragmented for decades - and it is unclear whether a new umbrella office can close the gaps. “Part of the problem is you have furiously entrenched bureaucracy in all of these departments that want to keep things exactly the way they are,” said Robert Gates, the former Central Intelligence Agency director and defense secretary. Three different law enforcement agencies have primary responsibility: the Federal Bureau of Investigation; the Commerce Department’s Bureau of Industry and Security; and Homeland Security Investigations. Each relies on regulators from the State, Commerce and Treasury departments, with help from the Pentagon, to determine which products can be exported where. The CIA, the Energy Department and the National Security Agency also provide intelligence on smuggling cases. Agencies approach the task differently. FBI agents view technology smuggling as a counter-espionage challenge. Commerce agents focus on enforcing the licensing of dual-use items, products that potentially have both military and civilian applications. Homeland Security agents tap a global network of customs informants and foreign police. Each agency also has distinct crime-fighting powers. Only FBI agents can deploy Foreign Intelligence Surveillance Act wiretaps. Only Commerce agents can issue administrative sanctions. Only Homeland Security agents can search packages at the border without a warrant. State and Treasury officials who are not federal agents can issue administrative and financial sanctions for regulatory violations. The differences have fostered deep and unproductive rivalries, some U.S. officials say. “There was so much animosity over who is in charge and isn’t in charge, rather than over substance,” said a White House counter-proliferation official. As part of a big export-regulation overhaul in 2010, the Obama Administration created the Export Enforcement Coordination Center - known as the E2C2 - to guide a government-wide approach. The E2C2 is led by a senior Homeland Security official, Craig Healy. The center also includes senior FBI and Commerce agents. Typical of the turf battles in Washington, the E2C2’s opening was delayed nine months while HSI, FBI and Commerce bickered over a formal memorandum of understanding. After it opened, E2C2 officials say, the new entity produced some quick results. By comparing resources and data, agents say they were surprised to find that in 60 percent of their investigations, two different agencies were investigating the same target. FBI, Commerce and HSI began pursuing more cases together, which they say led to more success and efficiency. “It’s helping us attack the networks, instead of going after these guys one by one,” Healy said. Tensions remain. The Obama plan calls for creating a single law-enforcement agency. Under one proposal, agents from the smallest player, Commerce’s Bureau of Industry and Security, will be merged into HSI, which dedicates the most resources to smuggling. But that would take an act of Congress, and some Commerce officials are actively resisting the change. The E2C2 is just one piece of a four-part export overhaul proposed in 2010. The larger initiative includes changes to export restriction lists, licensing procedures, computer infrastructure and law enforcement coordination. Today, senior administration officials describe the project as a work in progress. Most changes have been made by executive order, without congressional legislation. White House and State Department officials said the project had a few false starts, but is now progressing well. On Oct. 15, the first new rules took effect, shifting certain aircraft and engine products from State’s more restrictive munitions list to Commerce’s more business-friendly civilian commodity list. Similar changes are expected in coming months, and this worries some counter-proliferation agents. In interviews, a dozen agents said they fear the changes will make it easier to smuggle military-grade technology to China. Despite the administrative changes and the looming completion of the inter-agency computer project, three other parts of Obama’s plan - creating a single control list, single licensing agency and primary law-enforcement coordinating agency - are floundering. Each requires legislation, and there is little interest in Congress, officials say. Bill Greenwalt, deputy undersecretary for defense industrial policy from 2006 to 2009, said the changes so far are welcome, but don’t address fundamental flaws in the U.S. export control system. Beijing “floods the zone with buyers” for smuggled American military gear, leading to a 50 percent spike in arms trafficking cases since 2010, Reuters has found. SEATTLE - In its quest to bypass embargoes and obtain the latest U.S. military technology, China isn’t only relying on a cadre of carefully trained spies. It’s also enlisting a growing army of amateurs. Their orders come indirectly from the Chinese government and take the form of shopping lists that are laundered through companies with ties to Beijing. The recruits who buy the weapons and system components for those companies are scientists, students and businessmen, and they appear to be motivated more by profit than ideology. As one U.S. Homeland Security official put it, the Chinese “flood the zone with buyers” - a strategy that significantly complicates U.S. efforts to stop the flow of American armaments to China. “When you have nation-states that go outside the normal intelligence agencies and open it up to any person … it just exponentially opens the door for bad guys,” said Robert Anderson Jr, assistant director for counter-intelligence at the Federal Bureau of Investigation. Today, investigations into arms trafficking linked to China have swelled to at least 350 active cases - up by more than 50 percent since 2010, according to a Reuters review of confidential U.S. government records. The total number is likely higher than 350 because the count does not include many cases that began as regulatory inquiries or investigations into other crimes. U.S. officials also say their China counter-proliferation caseload is growing at a faster pace than investigations linked to any other nation. About two-thirds of the cases prosecuted by U.S. officials since 2005 involved people of Chinese ancestry, a Reuters analysis of court records shows. That includes Chinese citizens living in China or residing legally inside the United States, and U.S. citizens with family ties to China. U.S. government agents say many past cases and active investigations demonstrate how individuals who have left China - and appear to hold little allegiance to the Chinese government - have become players in Beijing’s effort to procure military components. Such was the case of Lian Yang, a 49-year-old software engineer who once worked for Microsoft Corp and had family ties to an anti-government group in China. In March 2011, the father of two pleaded guilty to conspiracy to violate U.S. arms trafficking laws for buying radiation-hardened microchips and making plans to send them to China. Yang served nearly 11 months in prison and another four months under house arrest. He was released in March. In interviews, Yang characterized his efforts as “stupid” and “wrong.” But he said the U.S. government “grossly exaggerated” what he did. Yang said a college friend in China had approached him about buying the microchips. But that friend, Yang said, was simply a businessman like himself, looking to obtain the components for another buyer - and ultimately, for the Chinese government. Reuters reviewed confidential investigative records gathered by the FBI, including hours of secret recordings, transcripts and emails. They show Yang as an arms trafficking novice, motivated by money and casting about for others willing to help him for a cut of the profits. In emails and transcripts from an FBI undercover operation, Yang spoke of the urgency to obtain the U.S.-made components for China’s military and satellite programs. On recordings, Yang told a family friend - who had turned government informant - that they could share in $1 million a year in profits. Later, as his plans shrank, he was working on a much smaller sale to net a few thousand dollars. Reuters reviewed 280 arms export and embargo cases brought by the U.S. federal government during the past eight years. (The review didn’t include cases involving Mexican gun smugglers, a crime that’s distinct from those that jeopardize U.S. military forces). Of the 280 cases, 66 - almost one in four - involved China. The cases reveal layers of buyers and sellers that connect to Beijing. In one recent case, investigative records contain the names of 31 Chinese companies - almost all of them state-controlled - that sought to buy smuggled military-grade communications gear. In another case, a Chinese procurement network used a series of five bank transfers between China and California to cloak a half-million dollar purchase of satellite components. About a third of the cases linked to China involved military aerospace technology, such as the radiation-hardened microchips. Arms traffickers have been caught in the last five years with military-grade gyroscopes and accelerometers, essential for China’s space and missile programs; unmanned aerial vehicle or drone parts; and microwave amplifiers used for weapons guidance and radar jamming. The individuals trying to obtain these components in the United States ranged from business people to professors, from citizens of China to permanent U.S. residents and American citizens. Many had access to technology that cannot legally be exported to China - or enough technical know-how to try to get it. •A missile expert working for a New Jersey defense contractor. He took company files, including design data for missiles, rockets and drones, to a technical conference in China. •A Shanghai broker who tried to smuggle from New York thousands of pounds of high-grade carbon fiber, which can be used for military purposes. •A Harvard-educated businessman who set up a company in Massachusetts that he used for years to smuggle millions of dollars worth of American-made electronic warfare, missile and satellite components to Shenzhen. A handful of Americans also have been recently convicted. A man in a small New York town tried to smuggle $100,000 worth of carbon fiber to China. An export control manager at a Pennsylvania manufacturer falsified records that allowed dozens of sensitive communications devices to be shipped to China and other nations. He later explained to authorities that he had been “too busy” to obtain the proper licenses. The United States imposed an embargo on arm sales to China after the 1989 Tiananmen Square massacre. Under the embargo, anything designed for police or military use has been banned for export to China; “dual-use” items - those that have both civilian and military applications - require U.S. government permission before they can be sent there. Lian Yang’s own shopping list had seven items the Chinese government wanted to buy in bulk for space and missile systems. Two items could be legal to export with U.S. government permission. Five - including the microchips - were totally restricted because of their importance to weapons systems. Yang had left China for the United States in 1988 and became a U.S. citizen in 1999. He sponsored his parents, too; his mother, he said in interviews with Reuters, had been persecuted by the Chinese government for her involvement in the spiritual movement Falun Gong. Married and the father of two boys, Yang had been earning well over $100,000 a year as a senior software engineer for Microsoft before starting his own business in 2007. His wife ran a travel agency. They owned two houses in a Seattle suburb; one was paid off and occupied by his parents. In 2009, about a year before the FBI began the sting operation that sent him to prison, Yang attended the wedding of his wife’s friends. There, he posed for a photograph next to the groom’s half-sister - former U.S. Secretary of State Condoleezza Rice. “She was very nice,” Yang recalled. At the time, Yang’s wife was close to the bride and to the groom, Rice’s half-brother Gregory S. Bailey. Yang’s wife was the matron of honor at the wedding; one of their sons was the ring-bearer. In the months that followed the ceremony, Yang and Bailey, himself an entrepreneur, worked together to sell water equipment and liquid crystal displays to companies in China - items that are legal to export. “He represented himself as a person who had contacts,” Bailey said in an interview. Both say these business efforts flopped. Shortly after the wedding, one of Yang’s contacts in China began to give him lists of items in high demand: military components. Precisely who was behind Yang’s effort remains unclear. In court filings, federal officials say the military-grade microchips Yang sought to purchase were destined for China’s satellite program. The FBI and prosecutors wouldn’t elaborate. Yang said he couldn’t discuss certain aspects of his activity until his probation ends in 2016. According to a March 2010 email from Yang, the parts were meant for China Aerospace Science and Technology Corp, the state-owned satellite and missile maker. An official with China Aerospace’s satellite subsidiary, China Spacesat Co Ltd, said he was unaware of the Yang case. A Xilinx spokeswoman declined to comment. Reuters reviewed 280 arms export and embargo cases brought by the U.S. government in the past eight years. Almost one in four involved China. Bailey also wrote that the LCDs - which were legal to export to China - would have to be sold first. An FBI spokeswoman in Seattle declined to comment on Bailey. Yang and Bailey had a falling out, and Yang pursued other partners. He reached out to a man he considered “a very close family friend.” Unbeknownst to Yang, the man alerted the FBI. As Yang presented his plans to try to buy military technology that China sought, his family friend wore a wire. “Well, the money could be an investment,” the friend suggested. “Yeah, I mean, for R&D there’s really no problem,” Yang said. The family friend, who had experience in international trade, played along. He told Yang that he had already approached two U.S. companies, pretending to want technology for Chinese civilian passenger jets. He said the companies told him that they don’t sell to brokers and they don’t sell to China. The FBI recording captured Yang and the friend talking about setting up a Nevada front company that would claim to want the chips for research. Its purpose was, in part, to hide Yang’s role - and his Chinese surname. “When they see Chinese, they automatically suspect,” Yang said, laughing. If they succeeded, the profits could be enormous, Yang said; they could make a million dollars a year - 10 percent on $10 million in annual sales. To the buyers, money was no object, Yang said. But the items needed to be of military grade. “Of course, when you have the military stuff, it’s just simply better,” Yang added. Andaluca is an upscale restaurant in downtown Seattle with subdued lighting and high-backed booths that are ideal for private conversation. Over dinner there in September 2010, Yang’s family friend - the informant - introduced Yang to two associates. The men claimed to know people who could forge paperwork and get radiation-hardened microchips. They were undercover FBI agents. According to their secret recording, the agents drew out Yang on the ultimate buyers - the Chinese government - and the potential size of the deal. “A huge amount of money,” Yang said. Using a standard undercover technique, the agents steered Yang to confirm that he understood what he was proposing to do was illegal. It’s a requirement necessary to gain a conviction under U.S. arms trafficking laws. Then, they all got the cheesecake. Yang picked up the tab. “You’re the guests,” he said. “Appreciate that,” an agent replied. About three months later, on Dec. 3, 2010, Yang gathered $20,000 in cash he had cobbled together from five banks. His China connections had not come up with upfront money after all. The cash, in addition to money Yang had already wired to an FBI front company, would cover the $80,000 price tag for a test buy of five of the microchips - a purchase that Yang thought would establish a business relationship. U.S. agents say Yang had planned to cross the border to Canada later that day in a rental car. He had already bought a ticket from Vancouver to Beijing for the following day. Yang met the undercover agents in Seattle. They gave him the chips. He handed them the money. Within minutes, Yang was arrested. He was charged with conspiracy to violate the federal arms trafficking law. His lawyer negotiated a guilty plea for a reduced sentence. Before he began his prison term, Yang said he told his young sons he would be away on business - in China. Bank robbers in the United States are likely to be sentenced to longer prison terms than individuals involved in illegally sending military technology abroad. A typical prison sentence for a bank robber is more than five years. A Reuters review of 185 convictions for arms trafficking or arms embargo violations during the past eight years shows offenders received a median sentence of 21 months. In 2011, the Department of Justice asked the U.S. Sentencing Commission to set five-year mandatory minimum sentences for violating the Arms Export Control Act. The commission declined, highlighting the need to distinguish between cases with little impact on national security - like gun-smuggling to Mexico - and trafficking that involved missiles or weapons of mass destruction. The commission also said prosecutors sought lesser sentences for defendants who were cooperative, even in the most serious cases. The commission recommended tougher punishment when national security is most compromised, specifically mentioning arms trafficking to China. But that change would require action by the U.S. Congress. The Reuters analysis shows that individuals who break the law receive far different penalties than do corporations. Companies generally paid fines in the millions of dollars; individuals often served prison time. For instance, Ryan Mathers, a 20-year-old Marine in Hawaii, helped to sell stolen military night-vision devices through eBay in 2008 to buyers in Hong Kong, Japan and Poland and to undercover agents posing as Hong Kong buyers. The devices were valued at about $3,000 each. Mathers pleaded guilty and was sent to prison for four years. The Pentagon’s leading manufacturer of night-vision devices, ITT Corp, illegally exported night-vision technical data to China, Singapore and Great Britain for years, and repeatedly lied to the U.S. government about its activities. Prosecutors said the actions threatened American soldiers and harmed national security. In 2007, ITT paid a $50 million fine; no individual at ITT was charged with a crime. At the time ITT pleaded guilty, the United States was fighting wars in Iraq and Afghanistan and needed ITT to continue manufacturing night-vision devices for troops there. Since its conviction, ITT has received billions of dollars in new Pentagon contracts. In 2011, the company was removed from special federal monitoring over the matter. The defense arm of ITT was spun off in 2011 as Exelis. B.J. Talley, spokesman for Exelis, declined to say whether anyone at ITT was reprimanded or fired in the night vision case. “As a matter of policy, we do not comment on personnel matters involving individual employees,” Talley said. The distinction between how individuals and corporations are punished for arms export and embargo violations often comes down to what the government believes it can prove, said Daniel Richman, a former federal prosecutor who teaches criminal law at Columbia University. In all sorts of white collar cases, he said, prosecutors may be loath to go after low-level employees in big companies if the government believes – but cannot prove – that illegal activity was ordered by executives. “Just as a matter of equity and discretion, it might make more sense to have the company take the fall,” Richman said. Peter Wolff Jr, the public defender who represented Mathers, took exception to how the government handles such cases. German diesel engines now power China’s stealthy submarines - among the many weapons and parts Beijing has sourced from America’s European allies. HONG KONG - If the People’s Liberation Army went to war tomorrow, it would field an arsenal bristling with hardware from some of America’s closest allies: Germany, France and Britain. Most of China’s advanced surface warships are powered by German and French-designed diesel engines. Chinese destroyers have French sonar, anti-submarine-warfare helicopters and surface-to-air missiles. Above the battlefield, British jet engines drive PLA fighter bombers and anti-ship strike aircraft. The latest Chinese surveillance aircraft are fitted with British airborne early warning radars. Some of China’s best attack and transport helicopters rely on designs from Eurocopter, a subsidiary of pan-European aerospace and defense giant EADS. Emulating the rising powers of last century - Germany, Japan and the Soviet Union - China is building a powerful submarine fleet, including domestically built Song and Yuan-class boats. The beating hearts of these subs are state-of-the-art diesel engines designed by MTU Friedrichshafen GmbH of Friedrichshafen, Germany. Alongside 12 advanced Kilo-class submarines imported from Russia, these 21 German-powered boats are the workhorses of China’s modern conventional submarine force. With Beijing flexing its muscles around disputed territory in the East China Sea and South China Sea, China’s diesel-electric submarines are potentially the PLA’s most serious threat to its American and Japanese rivals. This deadly capability has been built around robust and reliable engine technology from Germany, a core member of the U.S.-led North Atlantic Treaty Organization. Arms trade data from the Stockholm International Peace Research Institute (SIPRI) to the end of 2012 shows that 56 MTU-designed diesels for submarines have been supplied to the Chinese navy. “They are the world’s leading submarine diesel engines,” says veteran engineer Hans Ohff, former managing director of the Australian Submarine Corporation, the company that built Australia’s Collins-class conventional submarines. MTU declined to answer questions about transfers to the Chinese navy, future deliveries or whether it supplies technical support or servicing. “All MTU exports strictly follow German export laws,” a company spokesman said. 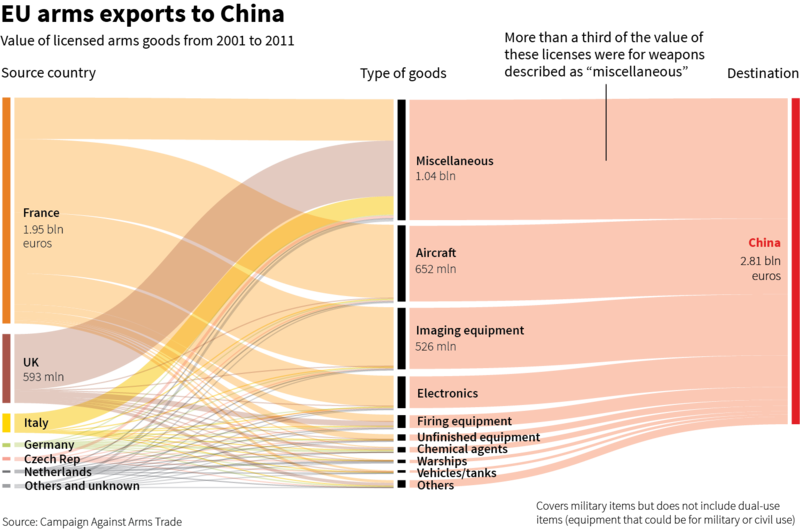 Transfers of European technology to the Chinese military are documented in SIPRI data, official EU arms trade figures and technical specifications reported in Chinese military publications. These transfers are crucial for the PLA as it builds the firepower to enforce Beijing’s claims over disputed maritime territory and challenge the naval dominance of the U.S. and its allies in Asia. China now has the world’s second-largest defense budget after the United States and the fastest growing military market. Many of Europe’s biggest defense contractors have been unable to resist its allure. High-performance diesels from MTU and French engine maker Pielstick also drive many of China’s most advanced surface warships and support vessels, SIPRI data shows. Pielstick was jointly owned by MTU and German multinational Man Diesel & Turbo until 2006, when Man took full control. Some military analysts remain skeptical about the quality of China’s military hardware. They say the engines and technology the PLA is incorporating from Europe and Russia fall short of the latest equipment in service with the United States and its allies in Asia, including Japan, South Korea and Australia. This leaves the PLA a generation behind and struggling to integrate gear from a range of different suppliers, they say. Others counter that China doesn’t need to match all of the most complex weapons fielded by the United States and its allies. Even if it deploys less than the best gear, Beijing can achieve its strategic goal of blunting U.S. power. Russia remains China’s most important outside source of arms and technical assistance. The Chinese navy’s best-known vessel - its sole aircraft carrier, the Liaoning - was purchased from Ukraine. A U.S. Navy vessel nearly collided with a Chinese warship last week while maneuvering near the Liaoning, during a time of heightened tensions over Beijing’s recent declaration of a new air-defense zone in the East China Sea. European hardware and know-how fills critical gaps, however. It wasn’t supposed to play out this way. The European Union has had an official embargo on arms shipments to China since the 1989 Tiananmen crackdown. Washington imposes even tighter restrictions on transfers of U.S. military technology to China, inspiring energetic efforts by Beijing to smuggle American gear and know-how. Europe’s embargo, however, has been far more loosely interpreted and enforced. Thus weapons and, perhaps more importantly for the PLA, dual-use technology have steadily flowed from America’s European allies to China. EU arms makers have been granted licenses to export weapons worth almost 3 billion euros ($4.1 billion) to China in the 10 years to 2011, according to official figures from Brussels collated by the London-based Campaign Against Arms Trade. EU governments approved the sale of aircraft, warships, imaging equipment, tanks, chemical agents and ammunition, according to official figures. Michael Mann, an EU spokesman in Brussels, said the EU arms embargo issued in June 1989 “does not refer to dual use goods.” It is up to individual member states to exercise control over such goods, Mann said. 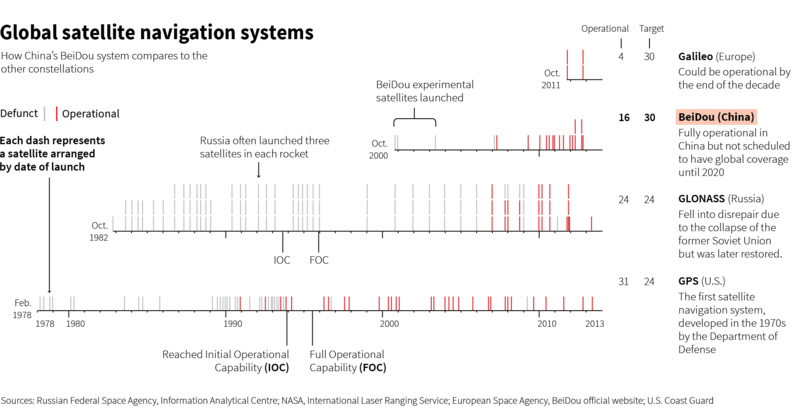 From China’s perspective, France and the UK interpret the arms embargo most generously, mostly blocking only lethal items or complete weapons systems. France was by far the biggest EU supplier, accounting for almost 2 billion euros of these licenses. The United Kingdom ranked second with almost 600 million euros, followed by Italy with 161 million euros. The value of weapons actually shipped is difficult to extract from the data because some countries, including the UK and Germany, don’t report these figures. The value of German export licenses for weapons was a relatively modest 32 million euros in the decade to 2011. However, EU arms trade figures don’t include dual-use technology that in many cases can be sold without licenses. Examples of such technology include many kinds of diesel engines. The same applies to transfers of commercial aerospace design software that can be used for fighters, bombers and unmanned aerial vehicles. Arms industry experts say dual-use transfers are almost certainly more valuable to the PLA than the actual weapons Europe has delivered. But it’s impossible to calculate a hard number for European-Chinese trade: The EU lacks a consistent system for tracking these transfers amid the vast flow of goods, services and intellectual property to China. Europe shipped goods worth 143.9 billion euros to China in 2012, according to EU trade statistics. Critics of the EU’s arms trade with China say member states have failed to devise a system to enforce the embargo. They say this reflects the loose structure of the EU, where each member state interprets the restrictions differently according to domestic law, regulations and trade policies. Geography plays a role, too: The distance between Europe and Asia means there is ambivalence about the rapid growth of Chinese military power. From Europe, China looks like an opportunity, not a threat. The embargo is nevertheless an embarrassment for Beijing; senior Chinese officials routinely call for it to be lifted, and pressure from Washington keeps it in place. That means the sale of complete weapons like the pan-European Eurofighter, German submarines or Spanish aircraft carriers remain impossible for the foreseeable future. In the meantime, Europe has discovered a lucrative trade selling components, particularly if they incorporate dual-use technologies that fall outside the embargo. Under Beijing’s long-term policies to promote innovation, domestic arms makers are encouraged to import the foreign technology that China lacks. The challenge is to adapt this range of components and know-how into locally built weapons. One example is how German engine makers have contributed technology to support China’s expanding fleet of support vessels that monitor satellites and missiles. Man Diesel & Turbo last year announced it would supply engines built under license in China for two new transport vessels for the China Satellite Maritime Tracking and Controlling Department, part of the PLA’s General Armament Department (GAD). The GAD oversees weapons research and development and manages all of China’s military and civilian space operations, including the tracking of satellites and missiles. The European engine maker will also supply gear boxes, propellers and propulsion control systems for the ships from its Danish manufacturing unit, it said. A spokesman for Man Diesel & Turbo said about 250 of its engines had been made under license in China and supplied to the Chinese navy. The company also provided some selected services and spare parts including fuel equipment. Reliable submarine engines top Beijing’s shopping list, and China’s navy has good reason to want the best. In the late spring of 2003, a disabled Chinese submarine was found drifting, partly submerged, in the Bohai Sea off China’s northern coast. When the boat was raised, rescuers found all 70 of its crew dead. Their deaths were blamed on “mechanical difficulties,” according to reports at the time in China’s state-controlled media. The outcome of any inquiry was never made public. Since then, submariners all over the world have speculated about what went wrong aboard Ming class submarine number 361, a Chinese copy of an obsolete Russian design. Most agree it was probably a fault with its diesels. The engines either didn’t shut down immediately when the submarine submerged, sucking the oxygen out of the hull in minutes, or the suffocating exhaust vented internally rather than outside the hull. Either way, the outcome was catastrophic. It was one of Communist China’s worst peacetime military disasters, and the navy chief and three other senior officers were sacked. But the People’s Liberation Army navy was already taking delivery of diesels from MTU. Engineers at the Wuchang Shipyard on the Yangtze River were fitting these power plants in China’s first indigenously designed and built conventional submarines, the Song class. MTU is a unit of Germany’s Tognum Group, which is jointly owned by UK-based multinational Rolls Royce Group PLC and Germany’s Daimler AG. Contracts with the PLA and powerful defense manufacturers give MTU and its parent influence in competing for contracts in China’s massive civilian market. China’s biggest arms maker, China North Industries Group Corporation, or Norinco, has been making MTU engines under license since 1986. In 2010, Tognum opened a joint venture with Norinco to assemble large, high speed MTU diesel engines and emergency generators at a plant in the city of Datong in Shanxi Province. A major goal of the joint venture is to win orders for emergency backup generators for China’s expanding roster of nuclear power plants, Tognum said in a press statement. MTU engines are also built under license at the Shaanxi Diesel Engine Heavy Industry Co Ltd, a subsidiary of one of China’s two sprawling military and commercial shipbuilders. Submarine diesel technology is hardly new, but these engines are built to exacting standards to ensure reliability under extreme conditions. MTU has been building them for more than 50 years. The engine delivered to China for the Song and Yuan classes, the MTU 396 SE84 series, is one of the world’s most widely used submarine power plants. Each of the Chinese submarines has three MTU diesels, according to technical specifications listed in Chinese military affairs journals and websites. In its promotional brochures, MTU says almost 250 of these engines in service with submarines around the world have each racked up over 310,000 hours in operation. Some have also been fitted to nuclear submarines as back-up power plants, the company says. MTU also sells different versions of the 396 series for use in locomotives, power generation and mining. A spokesman for the Federal Office for Economics and Export Control (BAFA), the German authority that has to approve dual-use exports, said exports of diesel engines built especially for military use would be illegal. Engines that can be used for both civilian and military purposes would have to be approved by BAFA, he said - and in the case of China, such dual-use engines “would probably not be approvable.” He declined to comment specifically, however, about the MTU diesel engine sales to China’s navy. Top quality diesel engines like the MTU designs minimize vibration and noise, reducing the risk of detection by enemy sonar. In the hands of a capable crew, modern diesel submarines can be fiendishly difficult to detect. When using their electric motors, they are significantly stealthier than nuclear submarines such as those in service with the United States, naval warfare experts say. For a relatively modest investment, a diesel electric sub could sink a hugely expensive aircraft carrier or surface warship. With whisper-quiet engines, China’s best conventional submarines armed with modern torpedoes and missiles may pose the biggest danger to any potential adversary - including the U.S. Navy. Beijing’s naval strategists are banking on their growing fleet of subs to keep the Americans and their allies far away from strategic flashpoints in the event of conflict, such as Taiwan or disputed territories in the East China Sea and South China Sea. That means the Pentagon’s favored method of modern warfare - parking carriers near the coast of an enemy and conducting massive air strikes - would be very risky in any clash with China. The PLA navy has already demonstrated this capability. In 2006, a Song class submarine shocked the U.S. Navy when it surfaced about five miles from the U.S. aircraft carrier Kitty Hawk, well within torpedo range, in waters off the Japanese island of Okinawa. The Chinese boat had been undetected while it was apparently shadowing the U.S. carrier and its escorts, U.S. officials later confirmed. PLA submarines are becoming much more active. 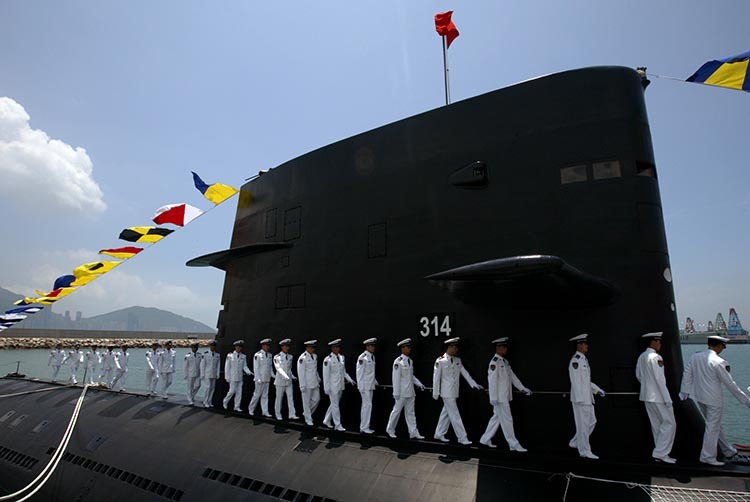 Recorded Chinese submarine patrols increased steadily from four in 2001 to 18 in 2011, according to U.S Naval Intelligence data supplied in response to freedom of information requests from a Federation of American Scientists researcher, Hans M. Kristensen. A senior U.S. Navy official declined to comment on German delivery of diesel engines to China, but said the United States is well aware of the challenges such submarines pose. “Diesel engines are notoriously difficult to detect, but we are also always investing in improving own capabilities to make our submarines quieter,” the official said. The Chinese military-industrial complex wanted to master the science for an alternative nuclear reactor. So, it turned to a storied American institute. HONG KONG - Scientists in Shanghai are attempting a breakthrough in nuclear energy: reactors powered by thorium, an alternative to uranium. The Tennessee lab, as it happens, helped pioneer thorium reactors. The Pentagon and the energy industry later sidelined this technology in favor of uranium. The Chinese are now enthusiastically tapping that know-how, in an example of how the rising Asian superpower is scouring the world for all sorts of technology needed to catch up to America in a broad array of scientific fields. Thorium’s chief allure is that it is a potentially far safer fuel for civilian power plants than is uranium. But the element also has possible military applications as an energy source in naval vessels. A U.S. congressman unsuccessfully sought to push the Pentagon to embrace the technology in 2009, and British naval engineers have proposed a design for a thorium-fueled ship. In a further twist, despite the mounting strategic rivalry with China, there has been little or no protest in the United States over Oak Ridge’s nuclear-energy cooperation with China. “The U.S. government seems to welcome Chinese scientists into Department of Energy labs with open arms,” says physicist and thorium advocate Robert Hargraves. He and other experts note that most of the U.S. intellectual property related to thorium is already in the public domain. At a time when the U.S. government is spending very little on advanced reactor research, they believe China’s experiments may yield a breakthrough that provides an alternative to the massive consumption of fossil fuels. The technology’s immediate appeal for China, both Chinese and American scientists say, is that thorium reactors have the potential to be much more efficient, safer and cleaner than most in service today. The Chinese plan to cool their experimental reactors with molten salts. This is sharply different from the pressurized water-cooling systems used in most uranium-fueled nuclear plants. The risks of explosions and meltdowns are lower, proponents say. Other advocates agree on thorium’s peaceful promise. Republican Senator Orrin Hatch and Senate Majority Leader Harry Reid, a Democrat, introduced legislation in 2010 calling on the U.S. government to share its thorium expertise. The unsuccessful bill said it was in U.S. “national security and foreign policy interest” to provide other countries with thorium fuel-cycle technology, because doing so would produce less long-lasting waste and reduce the risk of nuclear proliferation. Oak Ridge has been free to proceed in spite of that bill’s failure. What China is attempting is to turn the nuclear clock back to the mid-1960s, when Oak Ridge successfully operated a reactor with fuel derived from thorium and cooled with molten salts. The lab also produced detailed plans for a commercial-scale power plant. Despite considerable promise, the thorium test reactor was shut down in 1969 after about five years of operation. Research was effectively shelved when the Nixon Administration decided in the 1970s that the U.S nuclear industry would concentrate on a new generation of uranium-fueled, fast-breeder reactors. For a range of technical and political reasons, not least the public’s fear of nuclear plants, these new uranium reactors have yet to come into widespread commercial use. The die was cast against thorium much earlier. In the early 1950s, an influential U.S. Navy officer, Hyman Rickover, decided a water-cooled, uranium-fueled reactor would power the world’s first nuclear submarine, the USS Nautilus. Rickover was instrumental in the 1957 commissioning of a similar reactor at Shippingport, Pennsylvania - the world’s first nuclear-power station. Admiral Rickover was a towering figure in atomic energy and became known as the father of the U.S nuclear navy. He had clear reasons for his choice, engineers say. 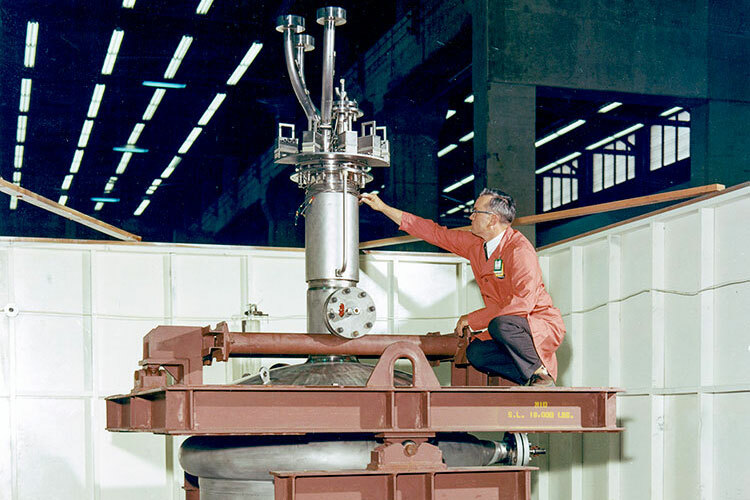 The pressurized water reactor was the most advanced, compact and technically sound at the time. More importantly, these reactors also supplied plutonium as a byproduct - then in strong demand as fuel for America’s rapidly growing arsenal of nuclear warheads. “The short answer is that uranium was good for bombs and thorium wasn’t,” says Kirk Sorensen, president of Flibe Energy, a privately held thorium-technology start-up based in Huntsville, Alabama. “The U.S. government seems to welcome Chinese scientists into Department of Energy labs with open arms.” Physicist and thorium advocate Robert Hargraves. With the launch of the Nautilus in 1955, a course was set that is still followed today, with most of the world’s nuclear power generated from this type of reactor. Thorium also has military potential for the United States, experts say. But the world’s most powerful military is reluctant to pursue alternatives to its uranium-fueled reactors, because it has operated them successfully for almost six decades. Joe Sestak, a former U.S. congressman and retired two-star admiral, failed in an effort to get the Pentagon to reconsider thorium in 2009. “It is very hard to effect a change in something that has been established for a long time,” he says. Sestak says he was unaware of the extent of cooperation between the U.S. and China on thorium technology. Flibe Energy’s Sorensen, a former NASA engineer, has plans to build thorium-fueled reactors for commercial use in the United States. Sorensen has been instrumental in reviving global interest in the groundbreaking work of the late American nuclear physicist Alvin Weinberg. It was Weinberg who led research into molten-salt cooled reactors and thorium when he ran Oak Ridge from 1955 to 1973. Weinberg was eventually fired for his persistent thorium advocacy. But he had some powerful supporters. In his last scientific paper, published shortly after his death in 2003, nuclear-weapons pioneer Edward Teller called for the construction and testing of a small, thorium-fueled reactor. Oak Ridge remains the intellectual home of this technology. The U.S. Department of Energy lab still has a small research project under way on the use of molten-salt coolants for uranium-fueled reactors. The Energy Department is also funding related research at the University of California, Berkeley, the University of Wisconsin and the Massachusetts Institute of Technology. But the ambitious project under way in China could be the best bet to unlock thorium’s promise of safe, cheap and abundant nuclear fuel. Jiang Mianheng, son of former Chinese president Jiang Zemin, visited Oak Ridge in 2010 and brokered a cooperation agreement with the lab. The deal gave the Chinese Academy of Sciences, which has a staff of 50,000, the plans for a thorium reactor. In January 2011, Jiang signed a protocol with the Department of Energy outlining the terms of joint energy research with the academy. The protocol stipulates that intellectual property arising from the joint research will be shared with the global scientific community. It excludes sharing commercially confidential information and any other material that the parties agree to withhold. The pact also specifically rules out any military or weapons-related research. “All activities conducted under this protocol shall be exclusively for peaceful purposes,” it says. Jess Gehin, a nuclear-reactor physicist at Oak Ridge, says the pact allows the two sides to share information about their research. Beijing’s long-term goal: commercialize the technology by 2040, after building a series of increasingly bigger reactors. The Shanghai Institute of Applied Physics is recruiting nuclear physicists, engineers, project managers and support staff, according to a regular stream of job advertisements it publishes online. Its team is expected to expand to 750 by 2015 and eventually include 1,000 researchers. A director at the Shanghai Institute, Li Qingnuan, and other senior researchers are wooing top young talent across China to join the project. After lecturing on molten-salt reactor technology at Sichuan University in April, Li invited students from the audience to apply for positions at the institute, according to a report on the university’s website. China’s sprawling network of nuclear-research and industrial companies are gearing up to assist. In early June, the China National Nuclear Corporation, the body overseeing all Chinese civilian and military nuclear programs, announced that state-owned China North Nuclear Fuel Company had signed an agreement with the Shanghai Institute to research and supply thorium and molten salts for the experimental reactors. The push into thorium is part of a broader national energy strategy. The government wants to reduce its dependence on coal-fired power plants, which account for about 80 percent of the nation’s electricity but have darkened its skies. Nuclear energy is a big part of the plan: China aims to have 58 gigawatts of nuclear power on the grid by 2020, an almost five-fold increase from 12.57 gigawatts today. Thorium is a hedge on that nuclear bet. China has 15 conventional nuclear reactors online and 30 under construction. But energy authorities are also investing in a range of different technologies for the future, including advanced pressurized water reactors, fast-breeder reactors and pebble-bed reactors. China has little uranium but massive reserves of thorium. So, the prospect of cheaper nuclear power with secure supplies of fuel is a powerful attraction. At last year’s Shanghai thorium conference, Jiang described how clean nuclear power would allow China to make a “revolutionary” move towards a greener economy. The bet on unconventional nukes, he said, explains “why China is the first one to eat a crab“ - citing an old Chinese proverb about the individual who dares to make a discovery important to civilization. HONG KONG - China isn’t alone in turning to thorium as a potential source of power. Enthusiasm for exploiting this alternative to uranium is on the rise across the world, even as the cleanup continues from the Fukushima nuclear accident in Japan. A new generation of scientists and nuclear engineers argue that thorium could be the key to realizing a dream of safe, cheap and plentiful nuclear power for an energy hungry world. Thorium deposits, estimated to be about four times more abundant than uranium, are widely distributed: Substantial reserves have been found in China, Australia, the United States, Turkey, India, and Norway. About 6,600 tonnes of thorium used to power the most efficient proposed reactors would provide enough energy to replace all of the fossil fuels and nuclear energy consumed globally each year, proponents say. Uranium-poor India has a long-term research effort under way and has decided thorium will become the mainstay of its nuclear energy industry later this century. The French government has a research program. Companies in the United States, Australia, Norway and the Czech Republic are working on reactor designs or thorium fuel technology. Energy from thorium is not just scientific theory. On April 25, Thor Energy, a private Norwegian company, began producing power from thorium - named after the Norse god of thunder - at the Halden test reactor in Norway. “It is the fundamental first step in the thorium evolution,” says company CEO Oystein Asphjell. The tests are aimed at showing the fuel could be a valuable alternative to uranium for existing reactor operators. Nuclear giant Westinghouse, a unit of Toshiba Corp, is part of an international consortium that Thor Energy established to fund and manage the experiments. A Westinghouse spokesman said the company was “providing viewpoints” on the research. Asphjell says burning thorium in current pressurized water reactors could boost safety and provide greater fuel security, especially for countries with limited access to uranium. Eventually, proponents want to pair thorium with a new kind of reactor, cooled not by water but by molten salt. That, booster say, would realize thorium’s full potential as a fuel. Thorium is a shiny, slightly radioactive metal. In its natural form, thorium isn’t fissile - meaning that, in contrast to uranium, it can’t split to sustain a nuclear chain reaction. But if thorium is bombarded with neutrons from a small amount of fissile nuclear fuel acting as a starter, either uranium-235 or plutonium-239, it is converted to uranium-233 - a form of uranium that is a first-rate nuclear fuel. 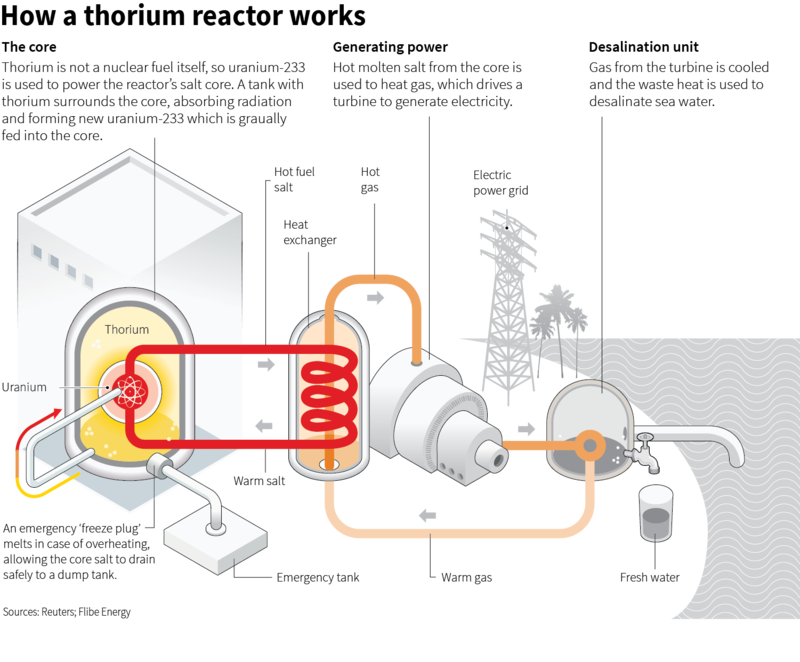 Once started in a reactor, the process is self-sustaining, with subsequent fissions of uranium-233 in turn converting more thorium to nuclear fuel. In the kind of molten-salt cooled reactor favoured by many thorium proponents, the uranium-233 fuel would be dissolved in a coolant of liquid fluoride salts contained in a graphite core. Surrounding the core would be a blanket of thorium, also dissolved in liquid fluoride salts. When the fuel in the core fissions, it produces heat and a barrage of neutrons that pass through the graphite and convert some of the thorium in the blanket to uranium-233. This is then removed from the blanket and fed into the core, while fresh thorium is supplied to the blanket. The coolant and fuel mixture from the reactor core is circulated through a heat exchanger, so that the energy can be extracted to power a turbine and generate electricity. One advantage of this system is that the fluoride salt coolant has an extremely high boiling point of 1,400 degrees Celsius, far higher than the reactor’s operating temperature of about 750 degrees Celsius. That means the whole system can operate at close to normal atmospheric pressure. In a conventional water-cooled reactor, the cooling system must be designed to withstand high pressure. That means reactors also must have massive, heavily engineered and expensive containment structures to minimise the danger from leaks or pressure explosions. Because the core in a thorium molten-salt reactor is already liquid, it can’t melt down. The design calls for a plug of frozen salt at the bottom of the system. If the reactor overheats, the plug would melt and the fuel and coolant would drain into a containment vessel below, where it would rapidly solidify and could be recovered for future use, proponents say. These reactors could be much more efficient than most current nuclear plants, which extract between three and five percent of the energy in uranium fuel rods. In a molten salt reactor, almost all the fuel is consumed. One tonne of thorium fuel would deliver the same amount of energy as 250 tonnes of uranium in a pressurized water reactor, according to a briefing paper published by the United Kingdom All Party Parliamentary Group on Thorium, a group of UK lawmakers who advocate adoption of the alternative fuel. Also, because most of the fuel is consumed, thorium yields little waste and is much less radioactive, proponents say. Most of the residue will become inert within 30 years, with about 17 per cent needing secure storage for about 300 years. The most dangerous waste from current generation reactors requires storage for 10,000 years. The molten-salt reactor may have one further benefit. Some advocates believe they can be used to burn off existing nuclear waste. A privately owned U.S start-up, Transatomic Power of Cambridge, Massachusetts, says it plans to build molten salt cooled reactors to burn some of the 270,000 tonnes of nuclear waste accumulated worldwide. “There is enough waste just in the U.S to power the country for a century,” says Russ Wilcox, company CEO and co-founder. The Beidou navigation system - developed with EU help - is a striking example of Beijing’s global dragnet for military know-how. For now, China’s sprawling defense industries and research laboratories are relying on a high-tech short cut. In a vast and carefully coordinated effort, China is scouring the globe for know-how that can be coupled with domestic innovation to produce strategic weapons and equipment. A year ago this month, technicians at a maker of satellite navigation gear in the Belgian town of Leuven worked over the year-end holidays to test one such breakthrough. The Belgians loaded their receivers with a technical code for a new satellite-navigation system called Beidou, or Big Dipper. The signal from the new Chinese system provided a surprisingly accurate position fix. “It was certainly better than you would expect from somebody doing this for the first time,” says Jan Van Hees, sales manager for privately owned Septentrio, which plans to sell civilian equipment that can use Beidou’s signal. It wasn’t beginner’s luck, though. China had help – and it came from European Union headquarters in Brussels, just down the road from Leuven. Know-how for the Beidou Navigation System, according to interviews with European researchers, a review of diplomatic cables and articles from military and technical journals, came from a technology partnership between Beijing and the European Union. The Chinese essentially piggybacked on a European satellite-navigation initiative, called Galileo, that was meant to rival two existing networks: the dominant Global Positioning System of the United States, or GPS, and Russia’s GLONASS. Sixteen Beidou satellites are now in orbit, with the network scheduled to expand to 30 when fully deployed by 2020. 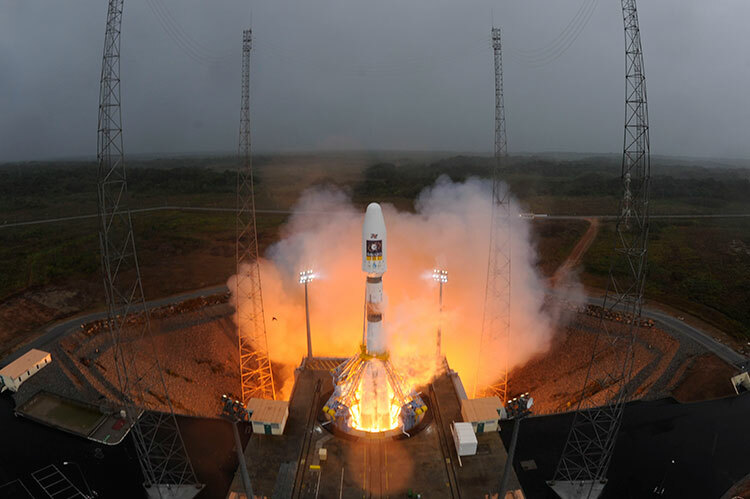 Europe’s Galileo is expected to become operational next year with 18 satellites. When fully deployed by 2020, the EU constellation will also have 30 satellites. Senior Chinese military officers have said Beidou is more important to China than manned space flight or the Chinese lunar probes now under way, according to reports in the state-run media. The successful deployment of Beidou means the increasingly potent Chinese armed forces will have an accurate, independent navigation system - vital technology for guiding the missiles, warships and attack aircraft that allow Beijing to claim great power status. Beidou is one of the most striking examples of China’s global quest to buy, copy or steal the technology it needs to close the gap with the United States and other leading military powers. Highly accurate satellite navigation is fundamental to modern warfare. Aerospace experts say European and U.S. know-how and equipment have been indispensable for China to design, build, launch, position, test and operate its navigation network and other satellites. “The Chinese know exactly what they want and very often know exactly where to find it,” says Oliver Brauner, a researcher on China’s arms trade at the Stockholm International Peace Research Institute’s China and Global Security Project. Beidou isn’t only about national defense. Beijing sees it as a commercial coup for China’s fast growing market satellite navigation services for cars, mobile phones and other applications. Belgium’s Septentrio and other Western and Chinese companies hope to capitalize by making compatible gear for sale in China and abroad. The Chinese cabinet on Thursday approved a blueprint that envisioned Beidou capturing 60 percent of a projected 400 billion yuan ($65 billion) market for satellite navigation services in China, according to the English language China Daily. But the report also said that 40 percent of Beidou’s satellite applications would be for military use. The system is a triumph for the Chinese military-industrial complex. Despite an arms embargo that’s been in place since the bloody 1989 Tiananmen crackdown, the People’s Liberation Army continues to secure much of the military or dual-use technology it needs from the U.S. and the European Union. Some Chinese researchers play down the role of European technology in the Chinese network. The EU-Chinese satellite collaboration broke down before the partnership ran its course, they note, and they say one of the reasons was that Europe was withholding key technologies. Beidou fills an important hole for the People’s Liberation Army. China has invested heavily on a massive and expanding arsenal of missiles able to strike targets throughout East Asia, including U.S. bases in Japan and South Korea. Regular reports in China’s military journals and popular military press show Beidou receivers are now in use with infantry squads, amphibious landing vehicles, tanks and artillery, as the technology is adopted throughout the PLA. Before Beidou, however, the Chinese military had to guide its hardware using civilian signals provided free by the foreign-run GPS or GLONASS. These services aren’t as accurate as specialized military signals - and can be selectively switched off. The United States openly warns it will jam the GPS signal to prevent “hostile use.” With Beidou, China can go it alone. A generation ago, the opening salvos of the first Gulf War demonstrated to a stunned Chinese military hierarchy how satellites gave the United States and its allies unchallenged knowledge and control of the battlefield. Armed with GPS navigation and data from surveillance and communications satellites, the U.S. coalition pulverized Iraq with smart and conventional weapons. The People’s Liberation Army was rapidly modernizing at the time, but it still had no capacity to match this overwhelming advantage. RISING CHINA: A Chinese rocket bearing Beidou satellites, as shown on the system’s website, www.beidou.gov.cn. China’s military research and development complex accelerated efforts to build a rival navigation network. Space technology was already a key element of Beijing’s “863 Plan.” The 863 directive – named after its March ’86 launch date - came from Deng Xiaoping, architect of China’s modernization drive. Deng ordained the 863 campaign as one of China’s premier national R&D programs, with the goal of unifying military and civilian efforts to master strategic technologies. In all of these measures to rebuild China through modern science and technology, the PLA has been a dominant player. Military thinking, goals and organization underpin the management of China’s sprawling network of research and development labs, according to experts on China’s space program. From the start, incorporating foreign technology has been a top priority for domestic satellite makers. After a series of expensive satellite launch failures in the 1980s and 1990s, China turned to some of America’s leading aerospace companies for technical help. This paid almost immediate dividends for China’s space and missile industry - but led to a backlash in Washington. A Congressional committee chaired by Californian Republican Chris Cox probed the transfers of sensitive U.S. technology to China. In 1999, the Cox Report found that the United States, Germany and France had provided significant support to China’s satellite programs. In the aftermath of the report, U.S. aerospace companies Loral Space and Communications Ltd, Hughes Electronics Corp, and Lockheed Martin Corp were fined for providing technical aid to the Chinese satellite program. Lockheed Martin said that U.S. government licenses specifically allowed the transaction with the Chinese entities involved. Loral and Hughes consistently denied they harmed American security in doing business in China. Washington went on to restrict foreign access to satellite technology. From 1999, this effectively banned the export, re-export or transfer of this equipment or know-how to China. The launch of U.S. satellites from Chinese territory was also prohibited. Galileo was running years behind schedule. Brussels enthusiastically embraced China’s involvement. European space contractors saw cooperation as an opportunity to expand access to the Chinese market while U.S. companies were effectively shut out, industry experts said. From late 2004, the two sides signed 12 contracts, under which China would deliver key technologies for Galileo’s early development, according to EU and Chinese briefing documents and European Space Agency contract announcements. The National Remote Sensing Centre of China oversaw these projects, which were to account for 33 million euros of China’s promised contribution to Galileo. The contracts also involved substantial European tech transfers, according to European space industry researchers. The EU saw little risk. China’s space sector was seen as backward. The PLA was not deemed a security threat to Europe. China’s financial and political support to Galileo was also a welcome counter to U.S. opposition to the rival European network. Beijing set up a special company, China Galileo Industries, to coordinate the research and development. The shareholders are some of China’s top military aerospace companies. They include the China Aerospace Science and Industry Corporation, a giant space contractor and missile designer and manufacturer, and the China Academy of Space Technology, a satellite and spacecraft maker. It is unclear exactly how much European know-how was handed over. EU officials have been reluctant to discuss the transfers when questioned by participants at space industry seminars and conferences. The European companies then involved in Galileo included the pan-European aerospace giant EADS and Thales SA of France, among others. EADS declined comment on previous co-operation with China and referred questions on the Galileo project to the European Commission. A spokesman for the commission declined to comment, as did China Galileo Industries. Thales didn’t respond to a request for comment. Materials from a series of China Galileo presentations at industry briefings in Europe and China after the deals were signed show the projects included a wide range of technology: development related to signals interference in the ionosphere; satellite positioning using lasers; measuring and predicting orbital paths; testing ground-based receivers; and search and rescue functions. Virtually all of the budgeted funds were spent in China, and the Chinese contractors retained ownership of the resulting hardware and intellectual property, European space industry experts say. However, tension mounted between the two sides. The EU had always known China had plans to build a military navigation network. But it soon grew clear that China intended Beidou to compete with Galileo. The Europeans also came to realize that China was determined to extract as much dual-use technology as possible for its home-grown satellites. Brussels also grew frustrated at China’s plan to use frequencies for Beidou’s military service that could overlap with Galileo’s restricted signal for European government and military use. Beijing also grew unhappy. Squabbling between the EU’s many member states and companies over the funding and administration of Galileo caused indecision and delays. The EU network was supposed to enter service in 2008; this has now been pushed back to the end of next year at the earliest. As China’s know-how expanded, U.S. diplomatic cables released by Wikileaks show, American diplomats and officials urged European governments and aerospace companies to withhold sensitive technology from China in the Galileo partnership. In discussions with U.S. diplomats, senior EU officials explained how the Chinese had exploited their links with the European project, the cables show. After signing contracts, Chinese officials from the Ministry of Science and Technology would make “shopping” visits to companies or research institutes across Europe using the agreements as authority for technology transfers, a senior EU official was quoted as saying in a 2009 cable from the U.S. embassy in Brussels. That cable also reported a senior EU official saying that “certain European-manufactured components have been transferred to China against the wishes” of the European Commission, the EU’s executive body. The cable did not say what those components were. A spokeswoman for the EU’s GNSS Agency, which oversees the Galileo project, referred questions about technology transfer to China to the the European Commission, which runs the EU. The European Commission did not respond to requests for comment. One of China’s biggest coups was gaining access to atomic clocks, a key technology Beijing needed for accurate satellite navigation, according to aerospace experts and the leaked U.S. diplomatic cables. China failed in attempts to buy these clocks from the pan-European aerospace contractor EADS, acoording to the leaked diplomatic cables. However, between 2003 and 2007, China bought up to 20 rubidium atomic clocks from the high-precision Swiss instrument maker Temex Time, now known as SpectraTime, according to industry experts and the diplomatic cables. Articles in Chinese technical journals suggest the Swiss clocks have been fitted to Beidou satellites. The China-EU projects included a wide range of technology - signals interference, lasers, orbital paths, receivers. Chinese companies now appear to have mastered the technology to build these clocks or reverse-engineered the Swiss versions. A March article carried by China’s state-owned China News Service reported that a research unit of state-owned China Aerospace Corp, the No. 203 Institute, began research and development on rubidium clocks in 2004. It has since successfully developed and built 10 of these clocks for Beidou satellites, the article said. “The rubidium atomic clock is the heart of a satellite navigation system,” the article said. By 2010, Galileo had become a 100-percent taxpayer financed project and came under new rules governing security, technology and procurement. And the partnership with China was effectively dissolved. EU officials assured U.S. diplomats that no Chinese “technical staff will be working on the project and no staff of any type will be working in Brussels,” according to a leaked U.S. diplomatic cable. By then, however, China was well advanced in a hectic launch schedule for its own network. All 16 satellites in the Beidou constellation have been fired into orbit since April 2007. The Beidou Navigation System is now playing a crucial role in China’s military exercises, including the Mission Action 2013 military exercise that kicked off on Sept. 10, China’s Xinhua news agency reported this month. The system demonstrated a capability of covering PLA units fighting on multiple fronts simultaneously. Leader Xi Jinping must master the People’s Liberation Army at a time when it has emerged as more self-confident, and lethal, than ever. HONG KONG - It’s part of the lore of modern China. When paramount leader Deng Xiaoping was handing over power a generation ago, a widely recounted tale goes, he had some advice for his successor. For every five working days, spend four with the top brass of the People’s Liberation Army. The latest leader of China, Xi Jinping, shows every sign of applying that lesson. A month after assuming power in November last year, Xi visited the province of Guangdong on his first major political tour. Of the five days he spent there, three were at a military base, according to official coverage of his trip. The son of a Communist revolutionary commander, Xi built his career as a friend of the army, and at times an official in it. But he still feels compelled to ask his generals for something in return: loyalty. “First, we must keep in mind that the military must unswervingly adhere to the party’s absolute leadership and obey the party’s orders,” he said on one of his many military inspection tours. Xi’s injunction that the party comes first is a sign of the insecurity modern Chinese leaders feel at the top of their nation’s huge and increasingly powerful armed forces, military experts say. As it grows mightier, the People’s Liberation Army is growing trickier to govern. The PLA’s rising global profile is integral to Xi’s stated vision for the nation: the “China Dream,” a rejuvenated country that’s both peace-loving and militarily powerful. But Xi is less a true military man than Deng and the founder of the People’s Republic, Mao Zedong. He is fundamentally a career bureaucrat, like his immediate predecessors, Hu Jintao and Jiang Zemin. Like them, Xi has to win over the force that keeps the Communist Party in power. But he must do so at a time when the PLA is more self-confident than ever, mounting the first serious challenge to the naval dominance of the United States since the end of the Cold War. The rise of a nationalistic leader with military leanings comes as the People’s Liberation Army, with 2.3 million men and women under arms, is the hard edge of a rising China. China’s annual military spending is now second only to that of the U.S. armed forces. The PLA navy is projecting power further into the Pacific. Years of buying, copying and sometimes stealing technology have helped the PLA narrow its capability gap with the United States and other rivals in Asia. Xi, as chairman of the Central Military Commission, is commander-in-chief alongside his roles as party general secretary and president. He now oversees armed forces that are influencing events far beyond China’s borders. Fleets of Chinese warships patrol disputed territories in Asian seas. On Dec. 5, a Chinese warship forced a U.S. guided missile cruiser, the USS Cowpens, to take evasive action in the South China Sea, the U.S. Navy said. The incident, in international waters, appeared to be an attempt to prevent the U.S. ship from observing sea trials of China’s new aircraft carrier, the Liaoning, naval experts said. PLA fighters now scramble to guard the controversial air defense zone that Beijing imposed last month off its east coast. The Chinese navy also cruises the Indian Ocean, contributing to international anti-piracy efforts, while PLA peacekeepers are on duty in Africa and the Middle East. In hardened silos and on mobile transporters, the PLA’s Second Artillery Corps is modernizing China’s modest but expanding armory of nuclear missiles, Chinese and foreign military analysts say. During Xi’s tenure, likely to last another nine years, this force is expected to be bolstered with China’s first effective ballistic-missile nuclear submarines. If PLA engineers can make them stealthy, these subs will be capable of retaliating if China comes under nuclear attack, according to Chinese and foreign military assessments. All this has been a dramatic change. In the late 1990s, visiting foreign military officers scoffed at China’s poorly equipped army. After more than three decades of soaring military spending, infusions of foreign and domestic technology and improvements in training, the PLA is transformed. Reflecting the more complex military challenges China faces, Xi has moved to establish a national security commission, thought to be modeled on the U.S. National Security Council. No details about the proposed new body have been released. Foreign diplomats believe it is aimed at tightening coordination between China’s sprawling military, intelligence, diplomatic and internal security agencies. Xi is likely to head the new body, according to several people familiar with the move. Xi is keeping his generals close. The military’s top two commanders are almost always photographed at his elbow on his frequent visits to exercises, frontline units and military schools: army General Fan Changlong and air force General Xu Qiliang. He has also been quick to begin putting his own men at the top of the PLA hierarchy. Within days of taking over from Hu Jintao as head of the Central Military Commission in November last year, Xi promoted Wei Fenghe, commander of the Second Artillery Corps and member of the CMC, to full general. In late July and early August, he promoted six officers to the rank of four-star general, and 18 to lieutenant-general. Eleven of those 24 officers are political generals, said Bijoy Das, a Chinese expert at India’s Institute of Defence Analysis. “In essence it indicates that the Party is co-opting a section of the PLA echelon to ensure that the ’Party holds the gun,’” he said. Xi is shown mixing with the lower ranks, too. Dressed in plain military-style khaki slacks and shirt, the solidly built 60-year-old stands in mess lines, selects a plate and chopsticks from a stack and is filmed eating and chatting with soldiers and sailors. Xi, like all of China’s Communist leaders, insists the PLA is bound with the party’s fortunes. The army delivered political power with its civil war victory in 1949 over the Nationalists. It fought the U.S. to a prestige-enhancing stalemate in Korea. It buffered tumult at home in the early decades of the People’s Republic and ended the 1989 Tiananmen protests in a bloody crackdown. In his task of cementing ties with the generals, Xi had a head start. His father, Xi Zhongxun, was a Communist guerrilla fighter who became a senior political leader and an architect of the market reforms that ignited China’s economic boom. That makes Xi a “princeling” of the leadership, and he rubbed shoulders with other offspring of Communist China’s founding elite. Throughout his career, Xi has appeared to march in step with the PLA. In his first job after graduating from Tsinghua University, he was a key aide in the general office of the Central Military Commission, the top military council he now runs. Xi was secretary to Geng Biao, a defense minister and former military subordinate of Xi’s father. He held no rank, but his duties were considered military service. “The military sees Xi as one of their own,” says a person with ties to the leadership. As he climbed the rungs of China’s provincial bureaucracy, Xi had a parallel career as a political commissar in local army headquarters, units of the PLA and the People’s Armed Police, the party’s paramilitary internal security force. He was careful to defer to important old soldiers. About 10 years ago, when Xi was party chief in Zhejiang Province, a retired vice chairman of the Central Military Commission, Zhang Zhen, visited Zhejiang Province to celebrate his birthday. Xi, then provincial party chief, broke with his official duties for several days to accompany the civil war veteran. “Zhang Zhen was very touched with Xi’s respect for old cadres,” said the individual with leadership ties. “Those who came to offer their birthday felicitations all saw Xi next to Zhang. It was a plus for Xi.” Zhang Zhen’s own princeling son, general Zhang Haiyang, is now political commissar of the Second Artillery Corps. As China has grown richer and better educated, the middle ranks of the PLA have filled with technically trained specialist officers. Along with that have come consistent if muted calls for China to have a fully professional army: one loyal to the state rather than the party, and free from the parallel supervision of political commissars who monitor the forces at virtually every level. Dressed in plain military-style khakis, Xi is frequently filmed eating and chatting with soldiers and sailors. Amid these rumblings, the army remains deeply politicized, military analysts say. The PLA has long-standing internal factions and loyalties divided between rival political benefactors and regional commands. While Xi was working his way up, Deng’s successor, Jiang Zemin, was promoting dozens of senior officers who remain in positions of power today. Jiang was the man Deng advised to tend to the generals. In retirement, Jiang remains one of China’s leading power brokers. His military appointments made sure his influence would outlast his term. Hu Jintao, who replaced Jiang, likewise sought to anchor his position through military promotions and patronage before handing over to Xi. Both Jiang and Hu kept the funding tap wide open for new military hardware and substantially improved pay and conditions for the troops. Xi appears set to maintain heavy military spending despite competing needs. A hundred million Chinese still live in poverty, according to official measures, and there is growing pressure to spend more on health, education and pollution control. Official defense spending is set to climb 10.7 per cent this year to $119 billion. Much spending takes place outside the budget, however, and many analysts estimate real outlays are closer to $200 billion, second only to the United States. 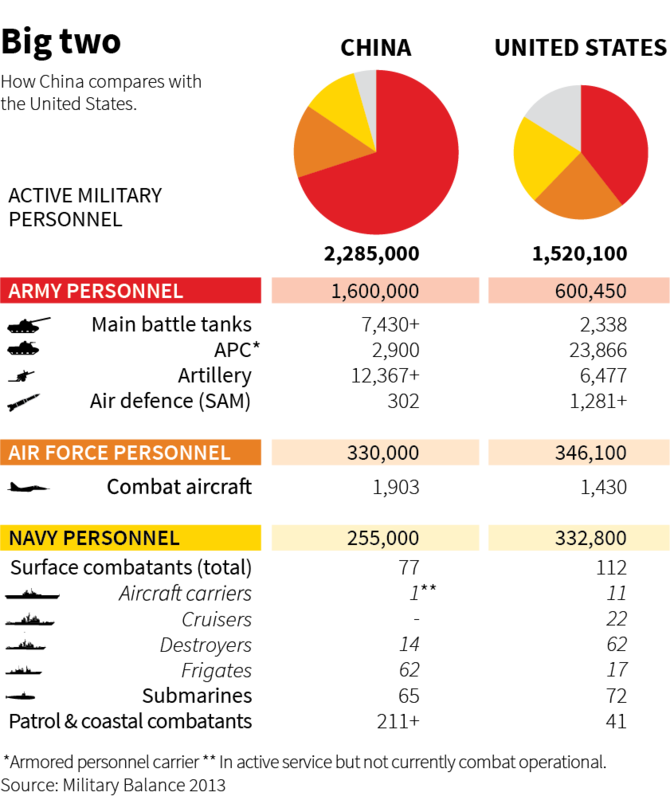 The U.S. Defense Department’s 2012 budget totaled $566 billion. As Xi came to power at the 18th Party Congress in November last year, there was substantial turnover in the Central Military Commission. Eight of 10 uniformed members of the council were replaced. It isn’t clear if there is close patronage or loyalty between Xi and his top commanders. But other princelings, Chinese military analysts and foreign military attaches identify several generals with whom Xi is on especially good terms. One is Central Military Commission member Zhang Youxia. Also close are two officers outside that top body: army General Liu Yuan and air force General Liu Yazhou. (The two Lius are not related). Like Xi, these officers are princelings. Zhang Youxia is the son of General Zhang Zongxun, a celebrated senior commander in PLA’s wars against the Japanese and the Nationalists. The elder Zhang fought civil war battles with Xi’s father in north-western Shaanxi Province, according to people familiar with both men’s family background. People close to the military say Xi last year wanted to nominate Zhang, now head of the PLA’s General Armaments Department, as one of the two vice chairmen of the CMC. Retired leaders Jiang and Hu vetoed the move, these people say. Liu Yuan and Liu Yazhou are engaged in what they have described as an undeclared war by subversive foreign forces to unseat the Chinese Communist Party. They have also warned of the danger that unchecked corruption poses to the party’s survival. Liu Yuan, 61, is the son of former president Liu Shaoqi, once designated to succeed Mao before he was brutally purged in the Cultural Revolution and died in custody. The elder Liu was posthumously rehabilitated after Mao’s death, clearing the way for his son’s life of privilege. In a late start to a military career, Liu Yuan joined the People’s Armed Police as a political commissar at 41 before transferring to the army. He is now commissar of the PLA’s General Logistics Department. Xi has publicly acknowledged his friendship with Liu on a number of occasions. Liu Yuan was also close to the powerful regional party chief Bo Xilai. Bo was sentenced to life imprisonment in September for bribery, embezzlement and abuse of power. Liu first attracted wide attention for a rambling essay he wrote as a preface for a friend’s book in 2010. He called for China to reject imported political models, including Western democracy, and extremes of the left and right. In convoluted language, Liu nevertheless appeared to be suggesting a more open political system that would allow more robust debate without challenging the leadership of the party. More recently, Liu has led a rhetorical assault on corruption in the military. “Liu Yuan himself has become the anti-corruption poster child,” says Huang from the National University of Singapore. The campaign mirrors Xi Jinping’s declared attack on graft, in which he has threatened to go after “tigers and flies” - corrupt officials big and small. Xi had a parallel career as a political commissar in units of the PLA and the party’s paramilitary security force. Liu Yuan helped bring down Lieutenant General Gu Junshan, who was sacked last year as deputy director of the PLA’s logistics department and is soon expected to be court-martialed for corruption, according to three sources in Beijing. In an online discussion on the official People’s Daily website on Aug. 1, the military confirmed Gu was under investigation. Liu Yuan may have paid a price for his zeal. “He was passed over for promotion because of this, and also because he was too close to Bo Xilai,” said a person with ties to the leadership who is familiar with the anti-corruption drive. General Liu Yazhou, also 61, is the son-in-law of Li Xiannian, who became president in the Deng era. Liu Yazhou, too, is a political officer rather than a military professional. One of the most outspoken senior officers, Liu became well known as a writer of fiction early in his career. He later turned to politics and strategy, writing frequently about the decisive role that air power plays in modern warfare. For a time, he was widely regarded as one of the most liberal PLA officers. He once dared suggest that China needed a democratic political system to stamp out corruption and provide an environment where the best talent could get to the top. 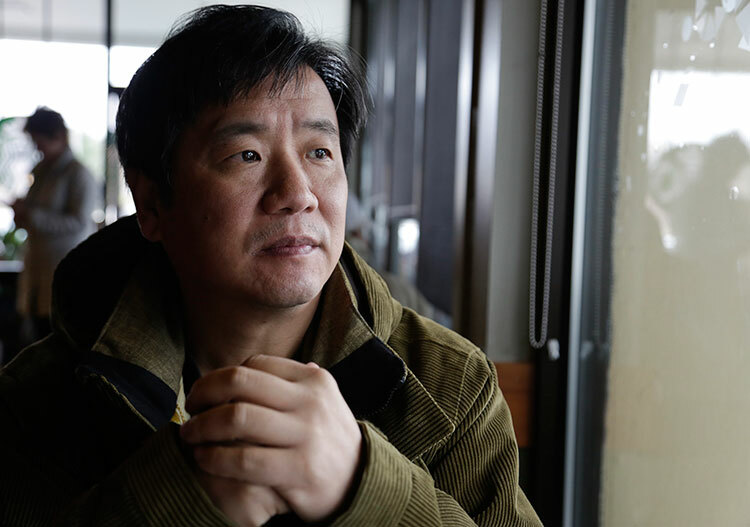 China routinely persecutes dissidents for airing similar views. His articles indicate he is an avid analyst of the U.S. military and the Pentagon’s strategic thinking. More recently, however, Liu has written about the party’s “absolute leadership" over the PLA. He also appears to have hardened his views on America. In his current posting as political commissar of the National Defense University in Beijing, Liu this year co-produced a documentary film, “Silent Contest.” The documentary, thought to have been prepared for an internal military audience, appeared on Chinese websites for a couple of days in late October before being removed. The film warned of an American “soft war” against China aimed at toppling the party. “They confidently believe it would be easier to divide or split China by approaching and engaging China and integrating it into the U.S.-led international political system,” Liu says in the film. The documentary includes similar warnings from other uniformed senior officers. And to clinch the message, General Liu rolls out his heaviest weapon: the commander-in-chief of the PLA and leader of the Communist Party. China’s military budget - second only to America's - has soared to almost $200 billion. Its top leader, Xi Jinping, is championing a renaissance aimed at China asserting its dominance in Asia and beyond. Its quest to modernize its military has been abetted by U.S. allies in Europe. And China's attempts to get American military technology it cannot legally acquire extends beyond cyber espionage to a broad smuggling effort that enlists local confederates whom U.S. authorities struggle to stop. A team of Reuters journalists examined the path - and the strategy - that Beijing has chosen in its quest to counter U.S. military might.